How Do We Judge The QBs? 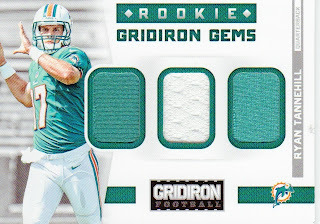 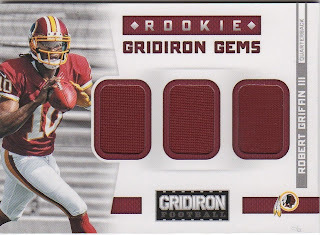 I picked up some packs of Panini’s Gridiron Football yesterday and while going through the cards I was drawn to a handful of cards that got me to thinking, at what point do we consider a player a draft bust? 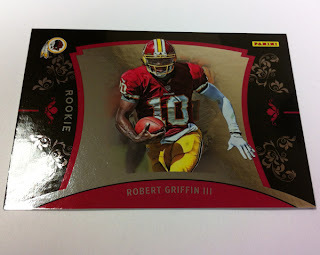 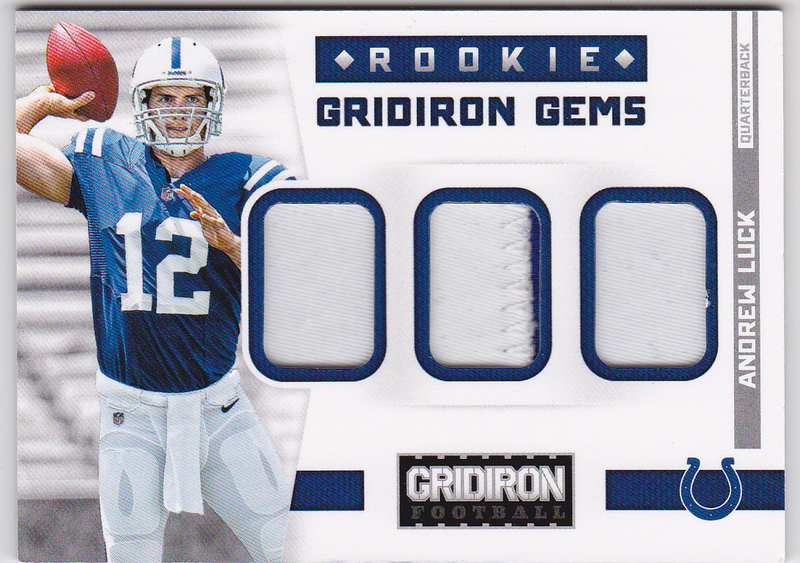 To limit the query I decided to focus on Quarterbacks for now. 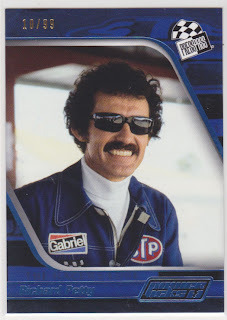 I started looking through some of the players and I was thinking about how they stood in comparison to other players in the same role and some players were obviously successful while others were more of a failure. 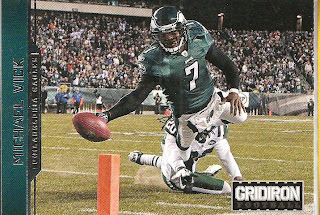 So I figured to have some fun and put together a list of players who I feel run the gambit from mega-star QBs to successful QBs to mediocre QBs to bottom of the barrel QBs using Panini's 2012 Gridiron Football cards. 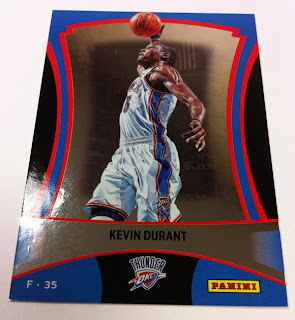 Once I started thinking about the post I went looking to find cards from the players that I did not pull from the packs. 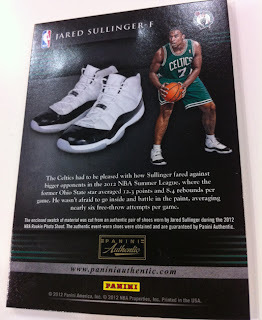 There are some players who have proven their worth and would be considered a success on every levels. 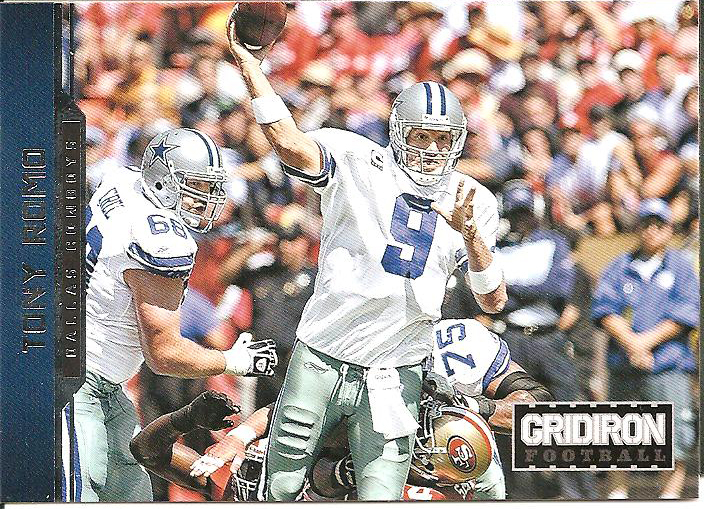 These are players who have won numerous awards as well as Super Bowls and should be first ballot Hall of Famers. This list includes Ben Roethlisberger, Tom Brady and both Peyton and Eli Manning. 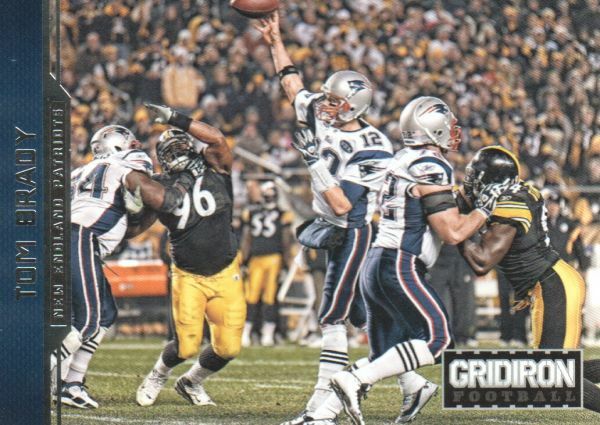 Next we have a group of players who have shown success, both team and individual, but have not taken it to the next level. 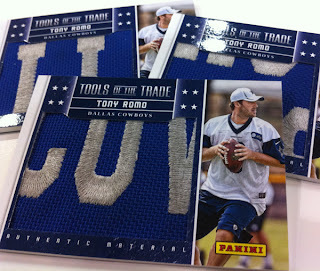 Tony Romo, Joe Flacco, Michael Vick and Matt Ryan lead the list here. 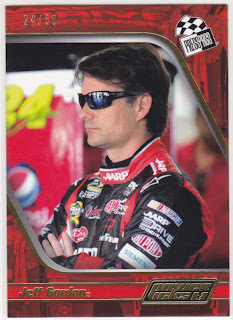 They have each had good and bad seasons but have never broken the barrier of mediocrity. 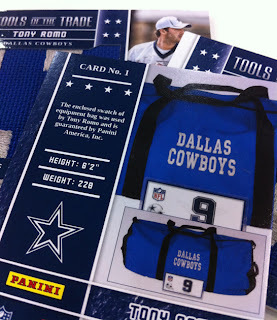 Romo has won only one playoff and has had thrown 5 interceptions in multiple games. 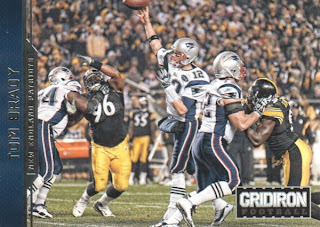 Flacco has made it to the AFC Championship game twice in his career but he also has some people questioning his heart. Matt Ryan, like Romo, has had limited success in the playoffs though he has a chance to redeem himself this year. 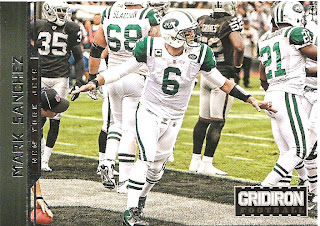 We may also be able to toss Mark Sanchez in with that group, he had early success making it to the AFC Championship two years in a row (losing both times) but he has suddenly dropped like a rock. 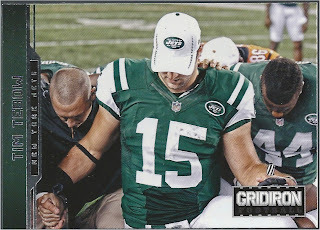 He seems to have no confidence, no team support and no heart. Some people may claim he is dropping because of the addition of Tebow to the roster but Sanchez was falling before the trade ever came about. 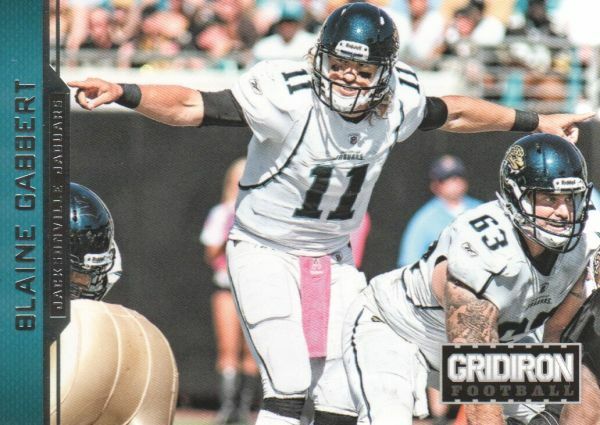 Tebow is another one, where do we rate him? 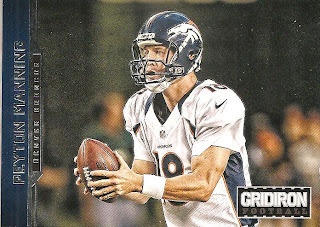 He had success in Denver and a couple of those wins came directly from him and his talent but now he sits in the backup role because he is not a true “QB” but more a utility player not to mention it seems as if Rex Ryan, in his attempt to get fired, has done every thing he can to earn another loss including not using Tebow. Does Tebow rate as a success because his time in Denver? Does he rate a failure because he is not a typical QB and the second stringer? Or, most likely, do we hold judgment until he gets a chance to show what he is capable of doing? 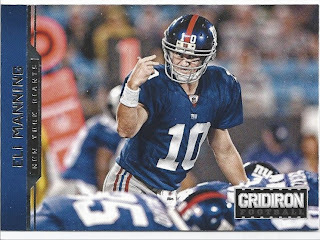 Continuing on from the backup roll, there is a whole collection of Quarterbacks that played themselves right in to a payday based on as little as one game. 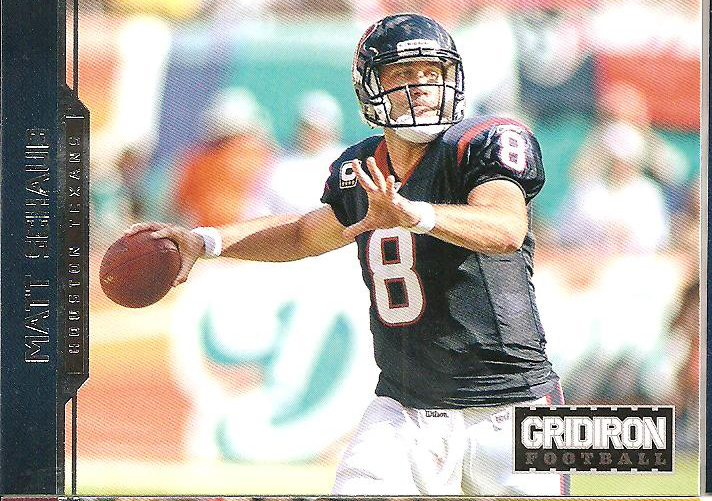 Beginning with a couple of Vick backups, Schaub earned his way from Vick’s backup in Atlanta to the starting role in Houston and has proven to be worth his paycheck. 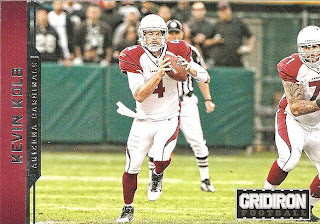 Kolb on the other hand worked his way from Vick’s backup in Philadelphia in to the backup role in Arizona collecting his bloated paycheck even though he has never earned it in the desert. Matt Flynn and Matt Cassel are two backups that got a payday after putting up big numbers backing up Aaron Rodgers and Tom Brady, respectively. 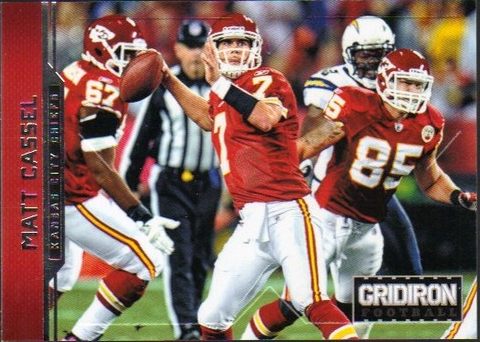 Cassel is difficult to rate because he is playing on a down and out Chiefs team, he has shown some flashes of brilliance since landing in Kansas City but more often than not he has just been average. 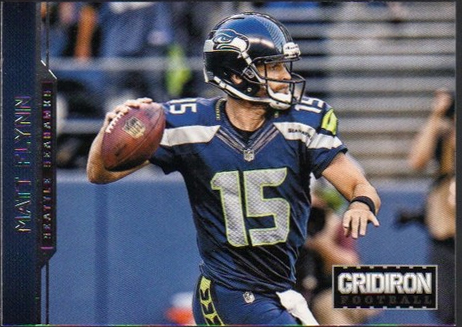 Flynn followed the route taken a year earlier by Kolb, he had one good game in Green Bay and Seattle threw buckets of money in to his lap only to turn around and draft Russell Wilson, who has taken the starter role right out of Flynn’s hands. 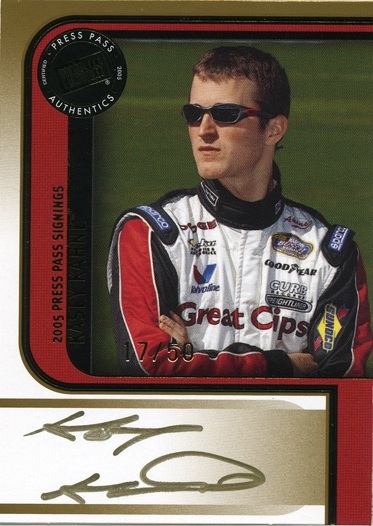 Either way, Flynn is still making bank while holding a clip board. 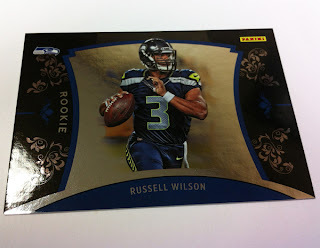 The final group is the rookies and second year players. 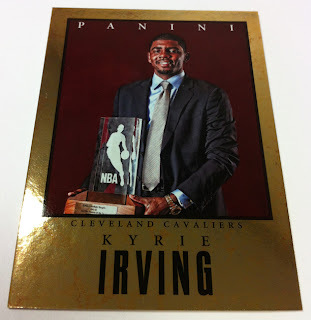 It is too soon to consider them being a bust or a success. 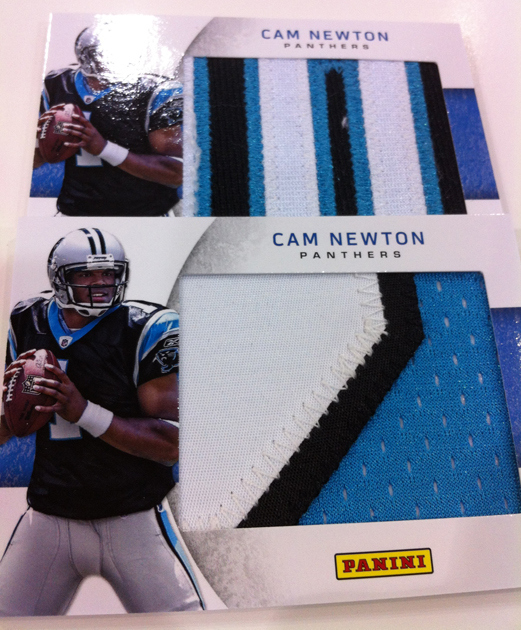 Cam Newton went in to Carolina and put up some record setting numbers. 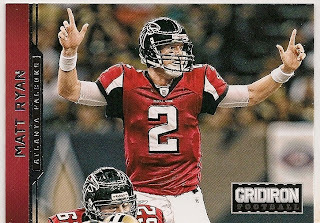 Even at 6-10 people saw Carolina having a fairy tale season, winning 5 more games than expected by most people, add in Newton’s rookie records and all seemed to be moving at the speed of light. Newton’s sophomore season has been less “dazzling” but by no means is he a bust. Christian Ponder is doing a fairly decent job in Minnesota but Jake Locker and Blaine Gabbert are floundering a bit with Gabbert recently losing his starting role to Chad Henne. 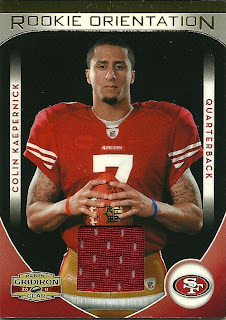 Colin Kaepernick is a wild card. 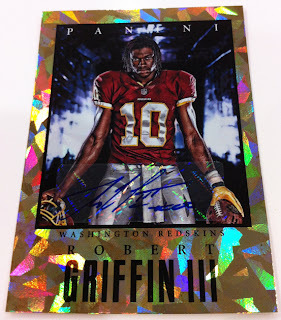 Plenty of people felt this guy was the real thing when the 49ers drafted him and now after a couple of good games there are plenty of collectors who are now jumping on board the wagon. You have to wonder if Smith may be on the trading block following the season. 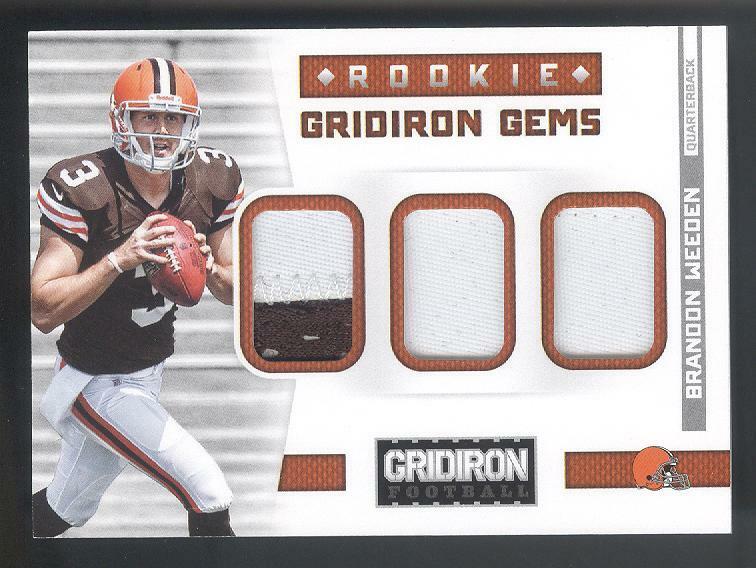 Some of the rookies are starting out pretty well, they may not be winning every game but they have made a difference so the jury is still out on this lot. 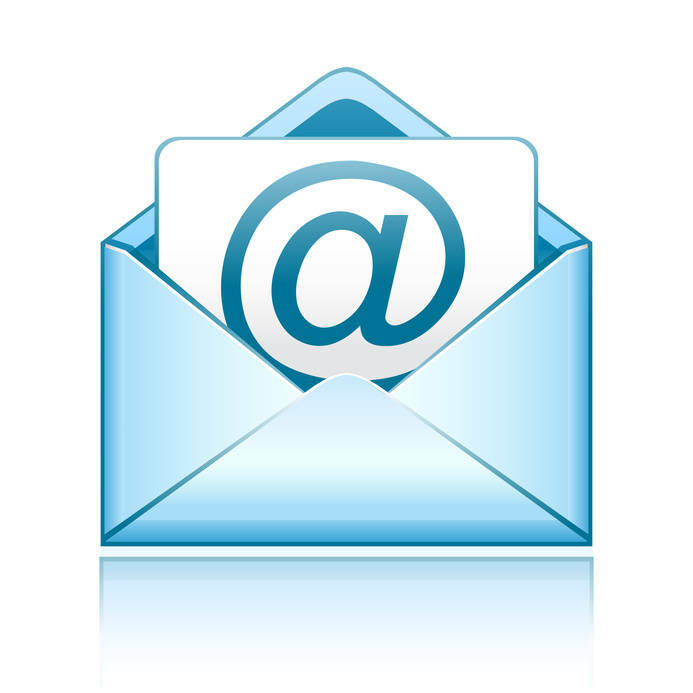 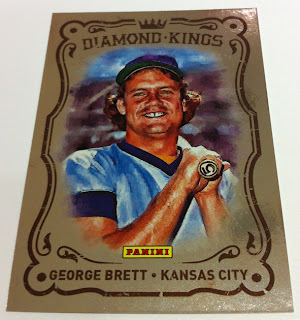 Today the 2013 MLB Hall of Fame ballot was announced, there are 37 total players on the ballot this year and to get inducted they need 75% (or more) of the 600+ members of the Baseball Writers’ Association of America to vote for them. This year Barry Bonds, Roger Clemens, Sammy Sosa, Craig Biggio, Mike Piazza and Curt Schilling are all on the ballot for the first time. 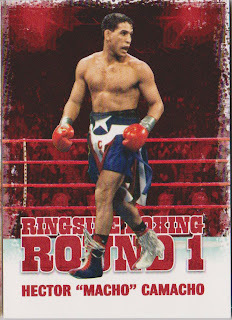 The big question that many of the writers will need to answer is how does the cloud of steroid usage affect their votes? 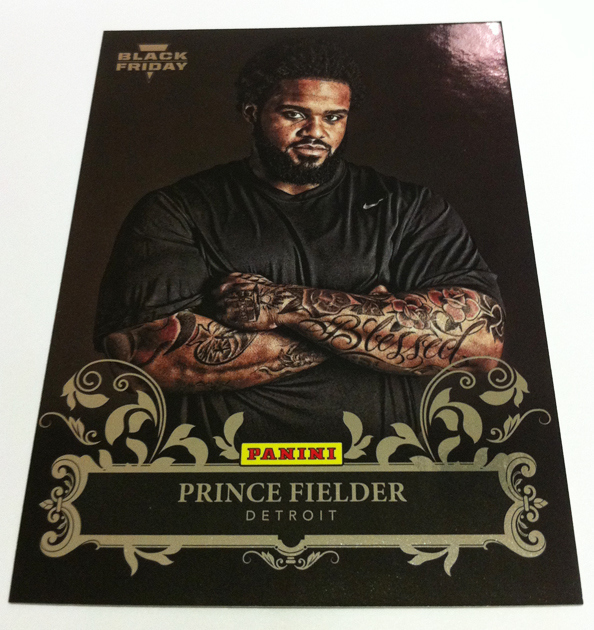 Bonds, Clemens and Sosa are poster boys for the “Steroid Age” along with Mark McGwire, Jose Canseco and Rafael Palmerio. McGwire and Palmeiro have both been on previous ballots, McGwire 6 years and Palmeiro 2 years, and neither has come close to the required 75% needed to get inducted. While both players put up some big numbers and broke some records they do not compare with Bonds’ MLB record 762 homeruns or Clemens MLB record 7 Cy Young Awards so the writers have a quandary here, do they ignore the steroid accusation and vote them in on their records or do they ignore the records and not vote for them based on the steroids? 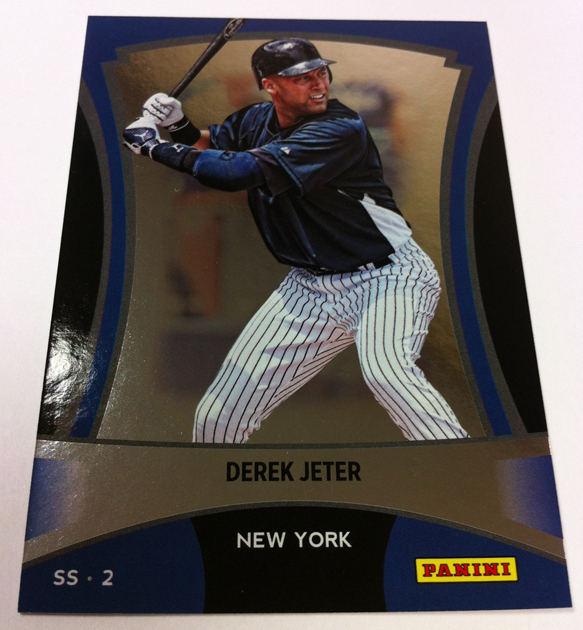 This month’s Vintage Card of the Month comes from 2001 Donruss Classic. 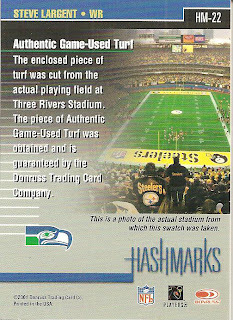 Not really a vintage card by any means, at only 11 years old, but instead is going old-school with Steve Largent and Three Rivers Stadium. 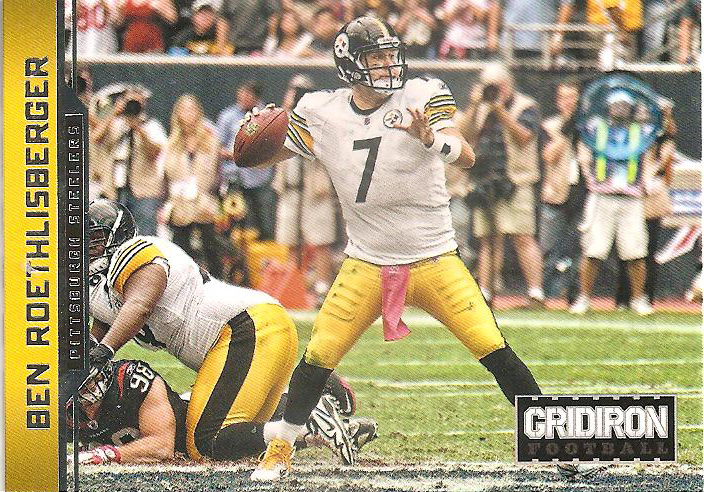 In 2000 Pittsburgh Three Rivers Stadium was closed and demolished and the Steelers moved on to Heinz Field. 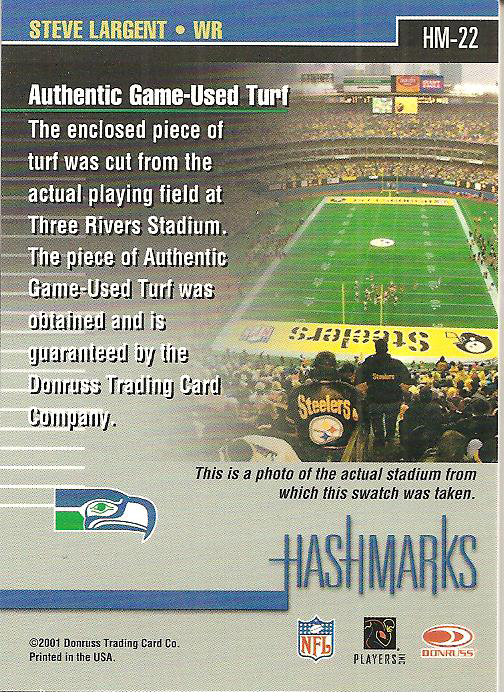 Donruss was able to obtain pieces of the turf from the field and created the Hash Marks relic to honor the stadium’s history. The 25-card set created contained Hall of Famer players and current stars and the front showed the player along with their best game stats at the stadium. A list of some of the players who were includes in the set: Bart Starr, Steve Young, Jim Plunkett, Dan Marino, Cris Carter, Emmitt Smith, Walter Payton, Eric Dickerson, Barry Sanders, Reggie White and Steve Largent. 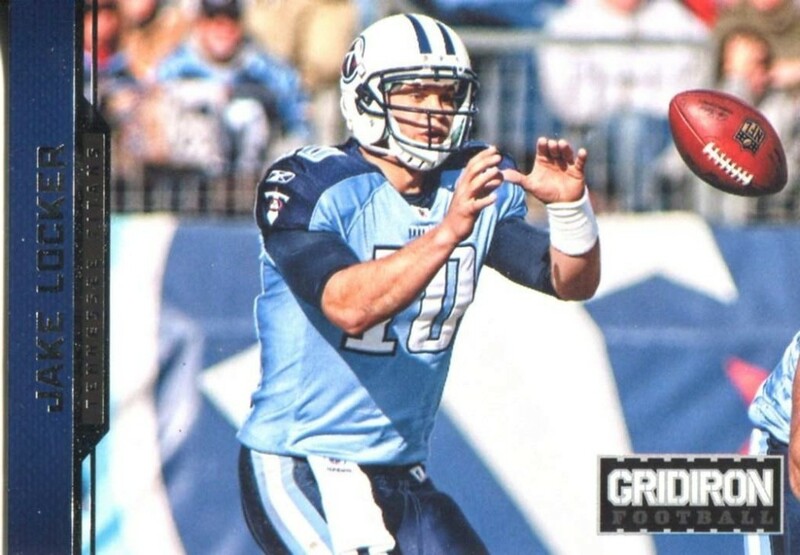 Steve Largent is one of my favorite Seahawks of all time, he was around from the beginning (originally drafted by the Oilers in 1976 but traded to the Seahawks during the preseason) and set the standard for years to come up in Seattle. He spent his entire career in Seattle, 14 years total, and when he retired he had 819 receptions for 13,089 yards and 100 touchdowns. 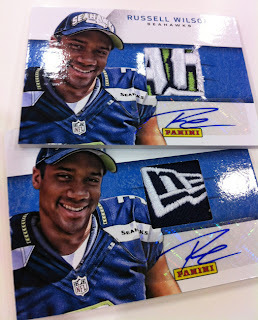 He went to the Pro Bowl 7 times, was inducted in to the Hall of Fame in 1995 and his jersey #80 was retired by the Seahawks. 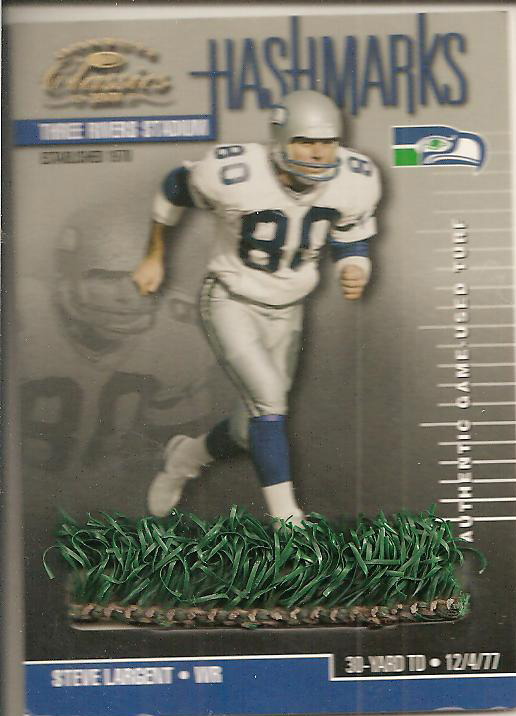 I dislike the Steelers but when it comes to Steve Largent I am able to overlook that and when I was finally able to find of these cards a couple of years ago I jumped on it to add it to my collection. Many of the cards can be found for under $10 but there a handful above that price for some of the bigger named players. 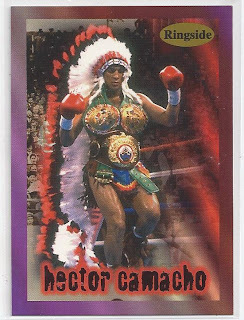 I have seen a couple of autographed versions but I do not know if there were actually part of the original release or if a collector had the player sign after they owned the card. The card is pretty thick, about double the thickness of a standard jersey card, and the turf piece is embedded on the front. 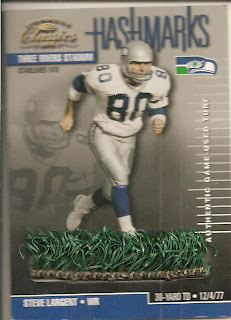 Beneath the turf is the stat and date, in Largent’s case it is 30-Yard TD 12/4/77. 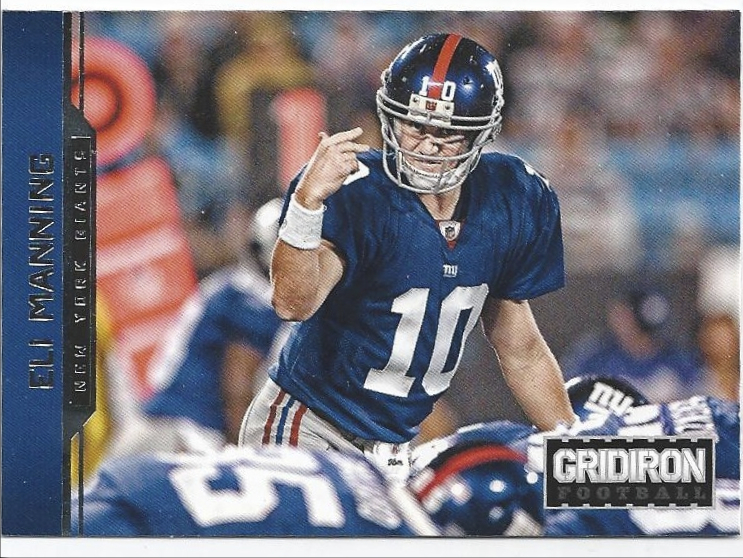 The game was a 30-20 Steelers win and Steve Largent had 4 receptions for 71 yards and 1 touchdown. The back of the card has information about the turf and the stadium along with a picture that was taken at the stadium (not from the game day). 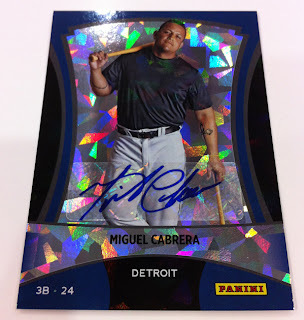 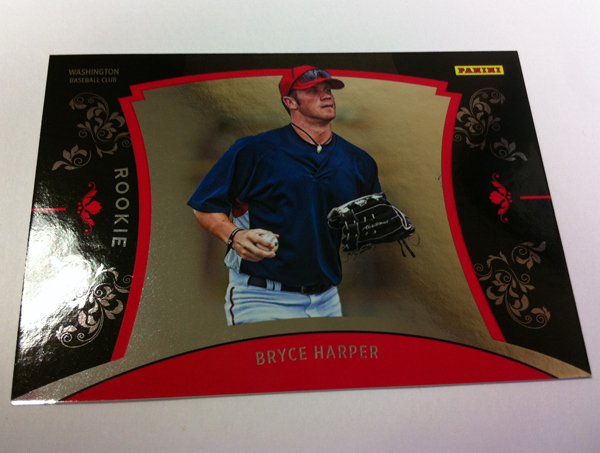 The 2013 Power Pick set contains a 25-card base set, which is limited to #/99, and there are two parallels, Gold- #/50 and Hologram #/25 or less. 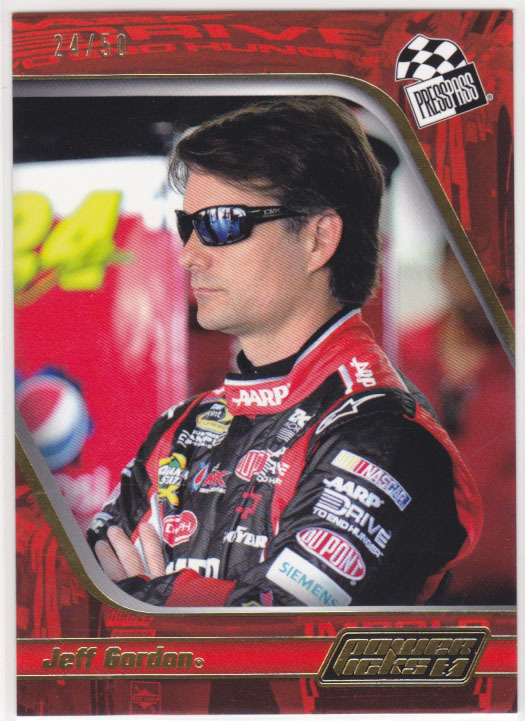 Most of the high profile racers are include like Jeff Gordon, Dale Earnhardt (and DE Jr.), Matt Kenseth, Danica Patrick and Richard Petty. 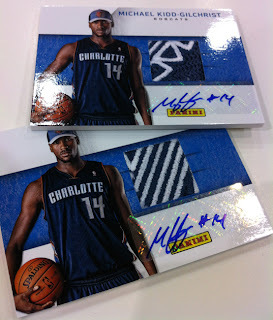 The autograph set is based on the base card checklist but it uses a different design and the cards are limited to #/50. 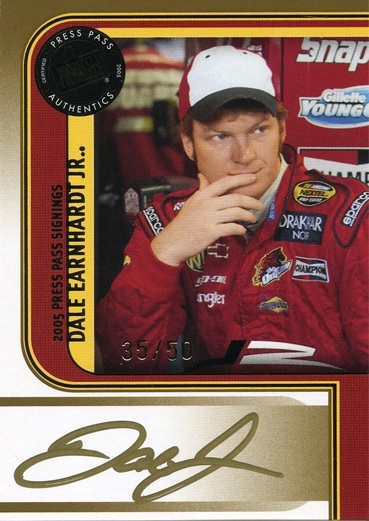 The cards that seem to be getting some major attention are the buyback autographs, which come from the 1999 Press Pass Signings autograph set. 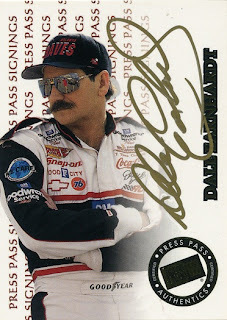 The reason for the attention is due mainly to the inclusion of Dale Earnhardt autographs. 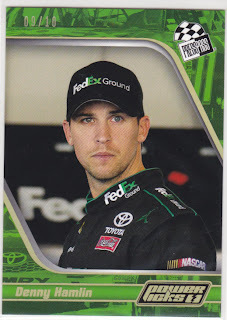 There is a nice selection of base card singles available on eBay with most selling for a couple of dollars. None of the high profile autographs have shown up yet, so far only a Rusty Wallace buyback is available. Tuesday evening boxer Hector Camacho was shot while sitting in the passenger seat of a friend’s car in front of a bar in San Juan, Puerto Rico. The story has changed a little since the news originally broke but it appears that it may have been drug related (10 small bags of cocaine were found on Camacho’s friend and in the car). 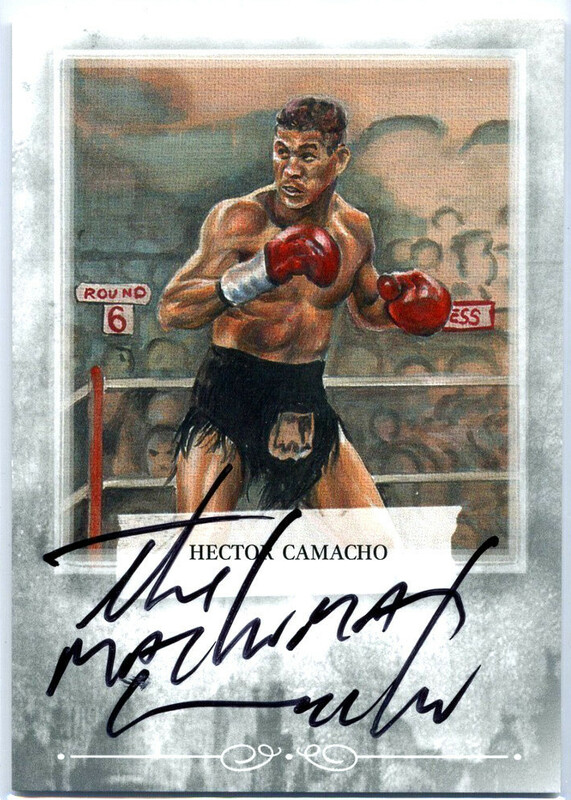 This afternoon the hospital announced that Camacho, who was originally expected to survive, had taken a turn and is now clinically brain dead. 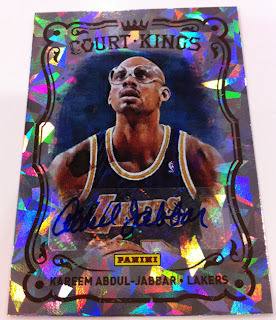 Currently the family is in disagreement as to what to do next, though it should be noted that when the brain dies it is irreversible, he is by all legal rights dead. Sadly since his Championship reigns in the 1980s and 1990s (Super Lightweight, Lightweight and Junior Welterweight) he has dealt with some demons, battling drug and alcohol addiction, even being sentenced to prison in 2007 for burglary. 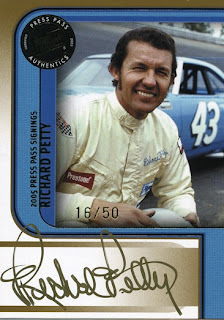 Though he has been down he still had time for family and friends, even going out of his way for his fans, posing for pictures and signing autographs when people recognized him on the street. 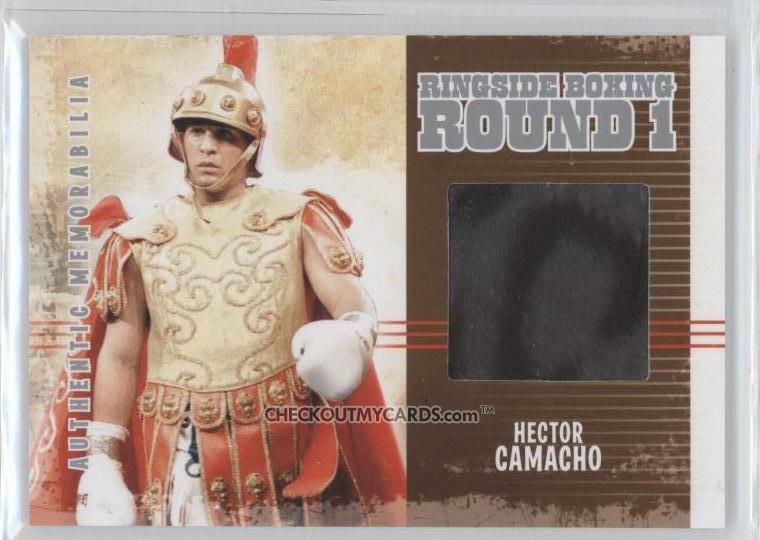 Boxing is one of the sports that has an international draw but has limited appeal on the cardboard front. 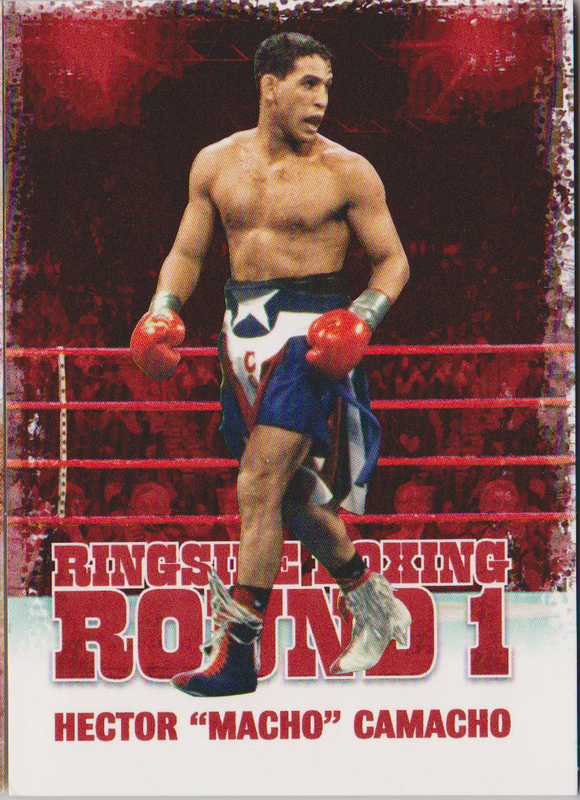 Camacho, who last fought in 2010, has a handful of cards printed in the 1990s but the recent releases of Ringside Boxing Round One and Round Two by Creative Cardboard Concepts have ended the boxing drought. 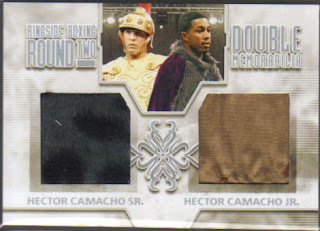 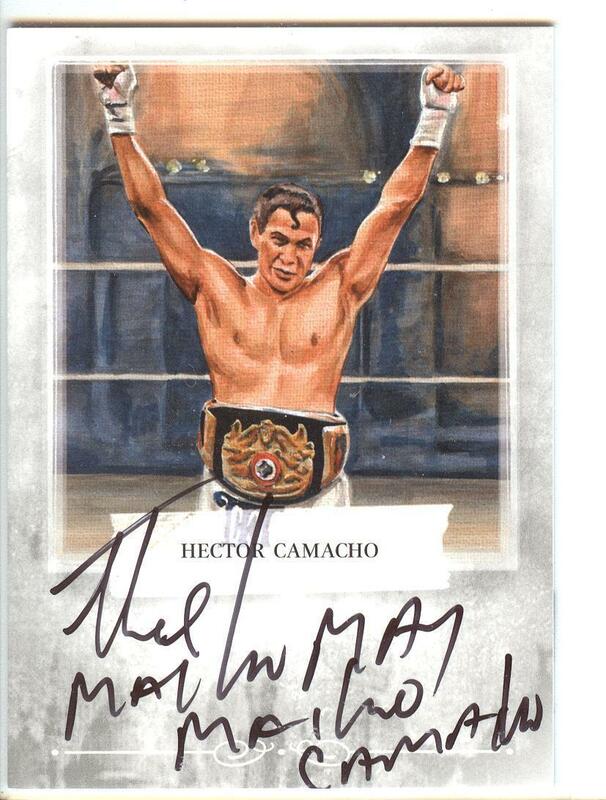 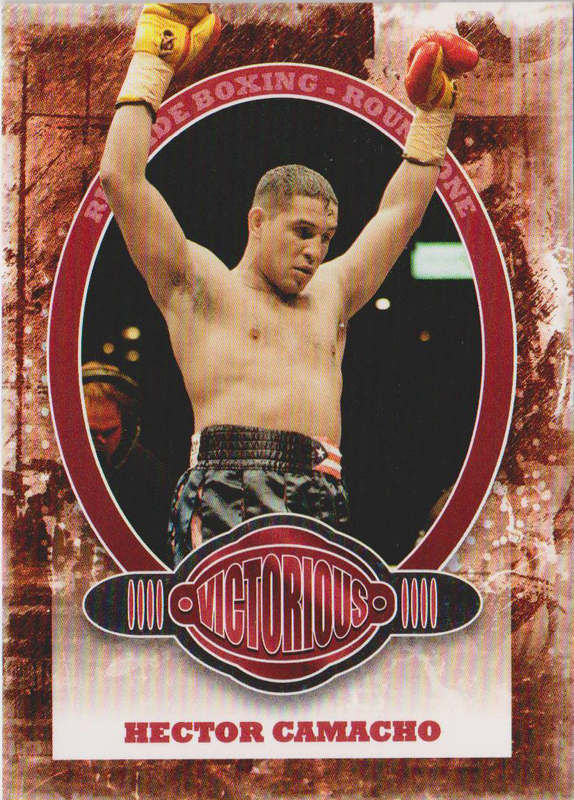 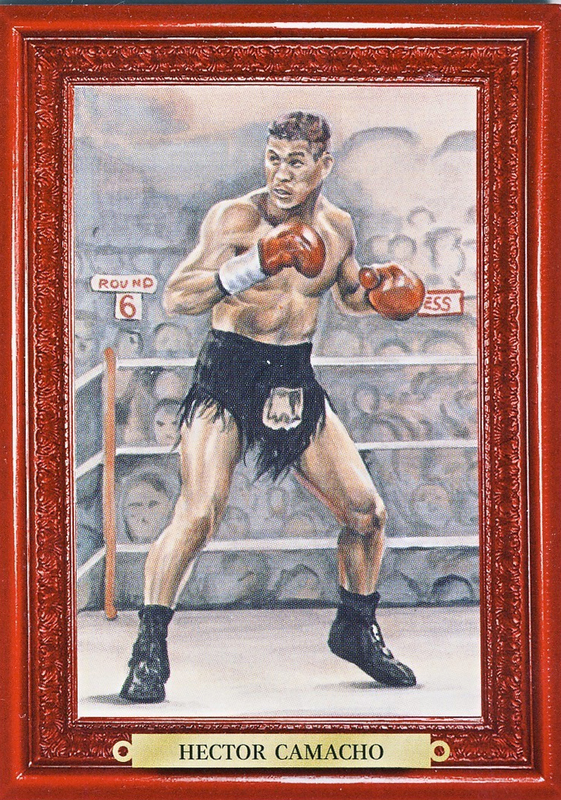 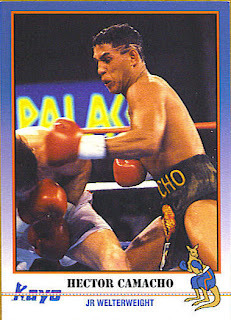 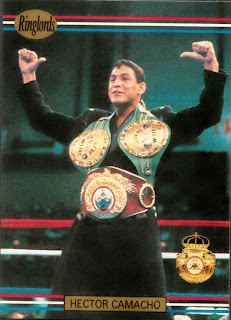 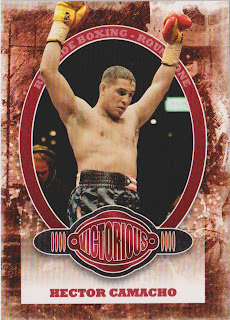 Now there are a variety of Camacho cards, inserts, relics and autographs to choose from including a dual-relic card that he shares with his son Hector Camacho Jr. 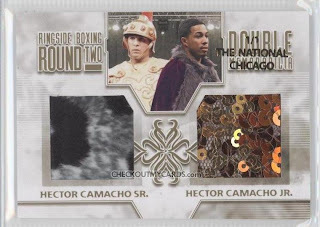 I came across this cool Chicago National 1/1 dual-relic version on COMC. Currently you can find many of the cards that he has available on eBay or COMC and prices are still reasonable (compared to where they stood before the shooting) but you can figure that once he passes on the eBay Toads will jump on the opportunity to profit off of another person’s death. Here are a selection of cards that you can find, some highlighting his humor and flamboyance, though no matter how strange he looked coming in to the ring it was all business once the bell rang. Charles Schulz had a talent at capturing emotion, feelings and understanding it their simplest form. 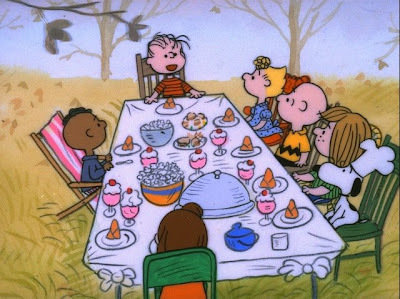 One scene explains it all, today is a day where we are thankful for the family and friends that we have in our lives. 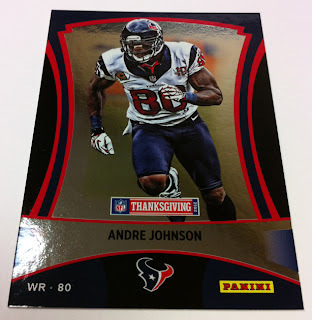 I hope that everyone has a safe and enjoyable holiday, Happy Thanksgiving! We are just a day away from Thanksgiving which means we are only 2 days away from Black Friday and the insanity that it brings. 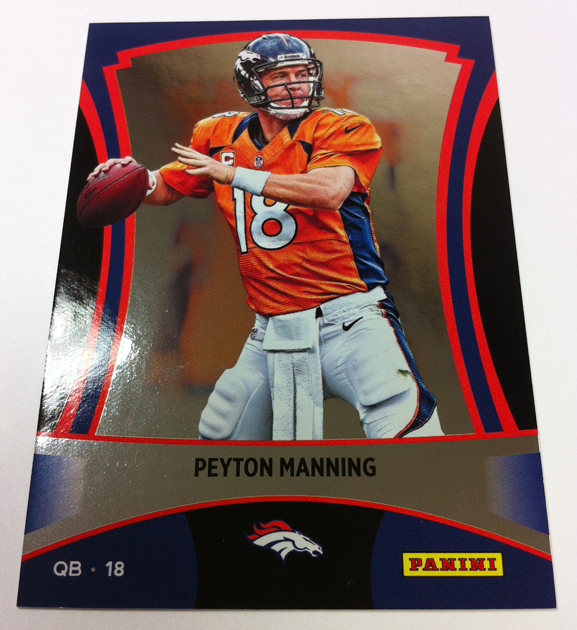 Panini has taken the excitement that comes with the day of deals and has built their Black Friday promotion to ensure the ultimate advertisement for their products. 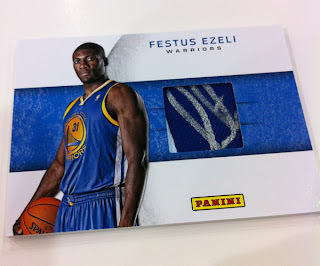 Over the past couple of years Panini has worked to deliver a diverse and encompassing set that has something for almost every collector. This list is a collection of the cards that have already been previewed by Panini on their blog but does not include everything that can be pulled from the packs. 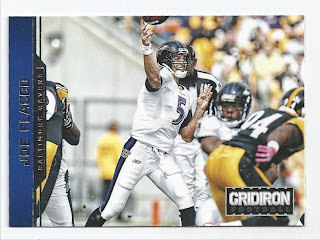 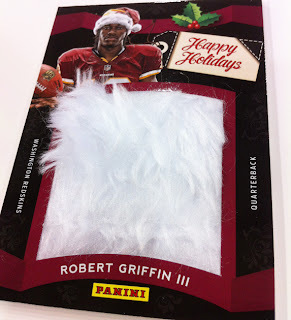 Some of the 2012 Panini Black Friday cards are already begining to show up on eBay, currently around 325 listings, so you can get an idea of what is out there. 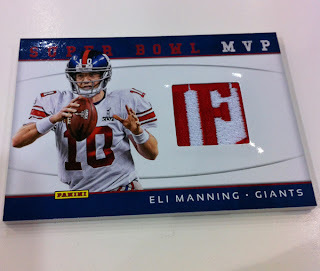 - Colored Blank Backs: Some people are saying these may be printing plates but there are no markings indicating if they are plates or if they are short prints/numbered. 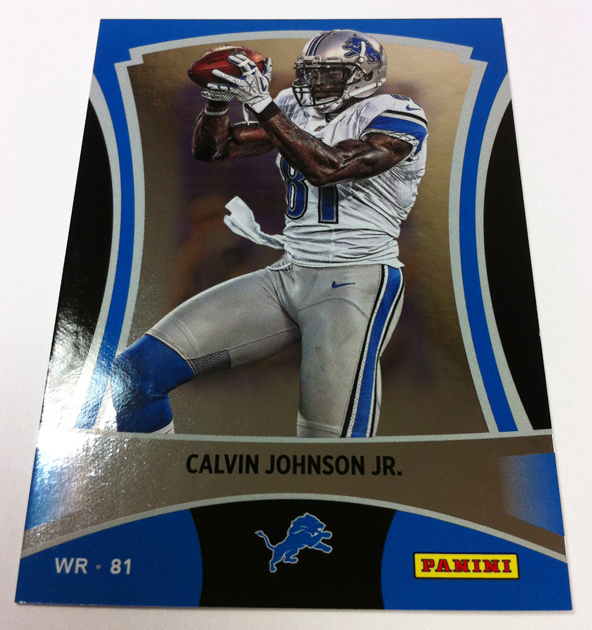 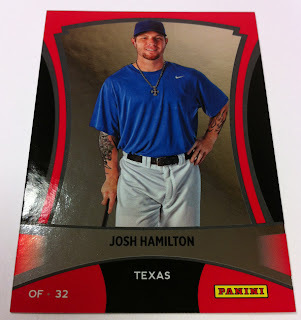 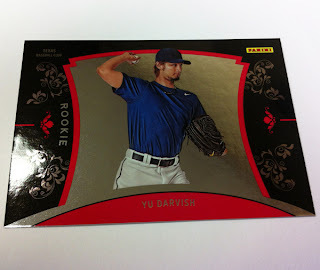 This year the base set consists of 50 cards, 23 veteran cards and 27 rookie cards, all #/599. The set contains athletes from the 4 major sports. 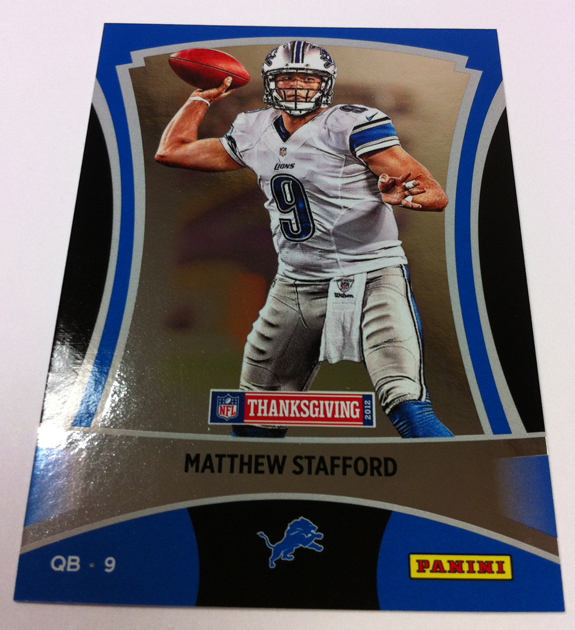 In addition to a large variety of autograph and memorabilia cards there will also be a 21-card Panini Collection set, 20-card Kings (Diamond Kings, Gridiron Kings, Court Kings and Ice Kings) set, a 2 card Elite Series and a 6-card Thanksgiving Classic set which features players who will be playing on Thanksgiving Day. 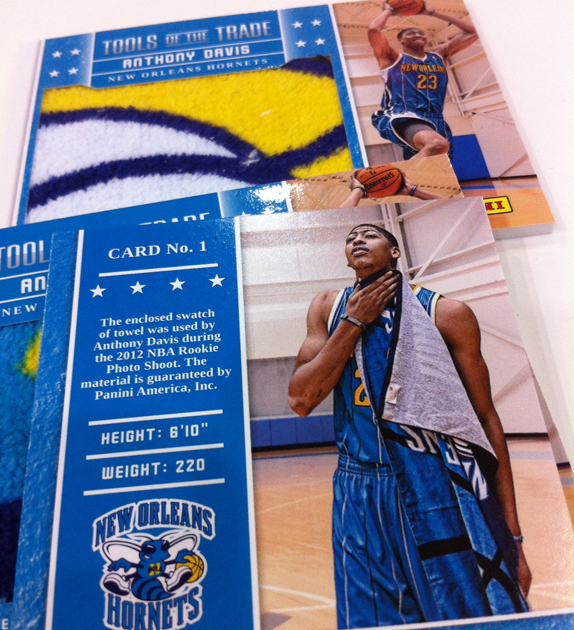 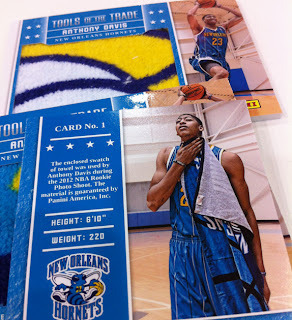 The base cards are uniform in design; the same borders are used throughout the entire 50 card set with the only differences being team logos and colors. 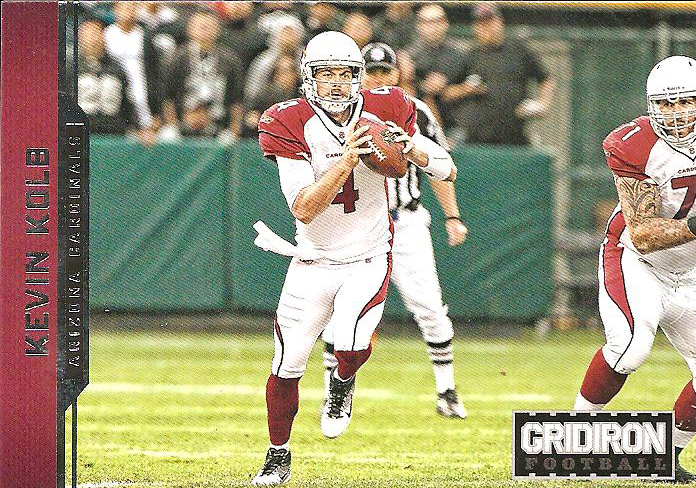 There is a difference between the veterans and rookie cards with the vets utilizing a vertical layout and the rookie cards having a horizontal layout. This makes it easier to recognize the differences. 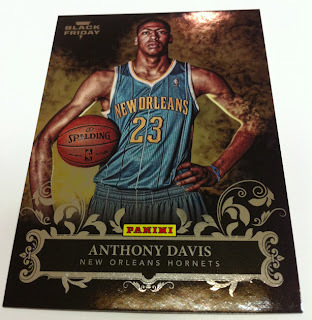 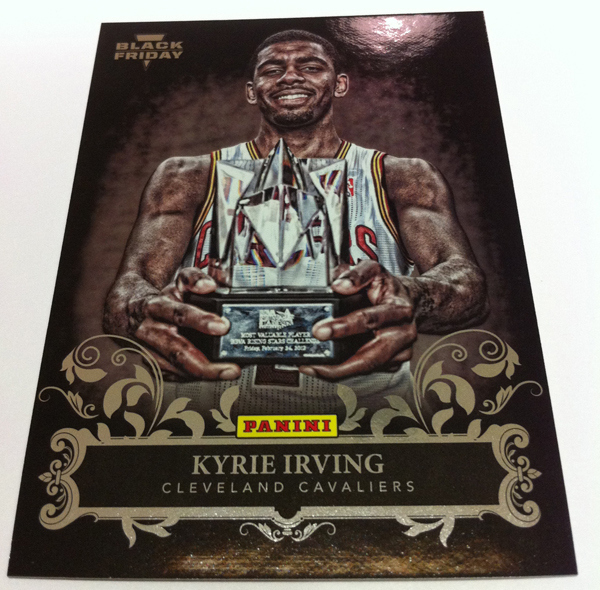 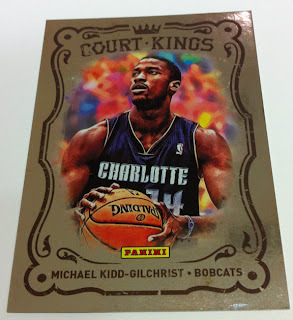 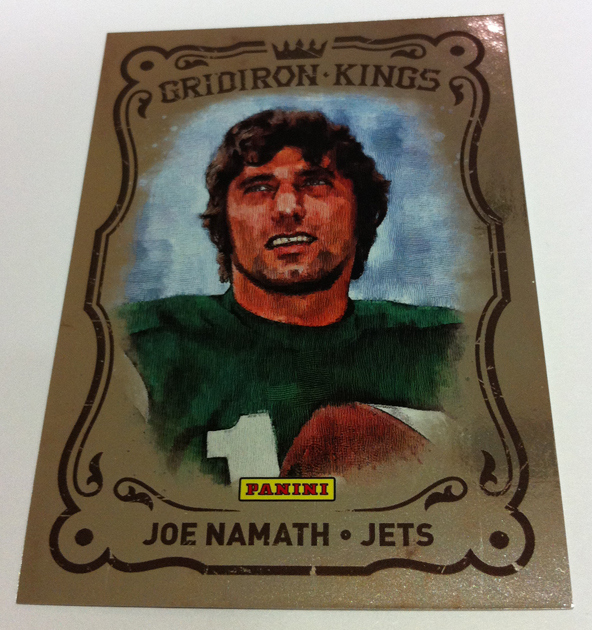 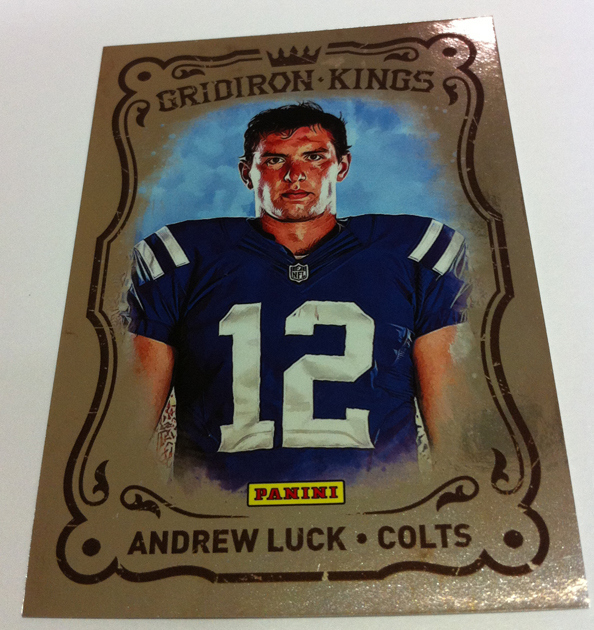 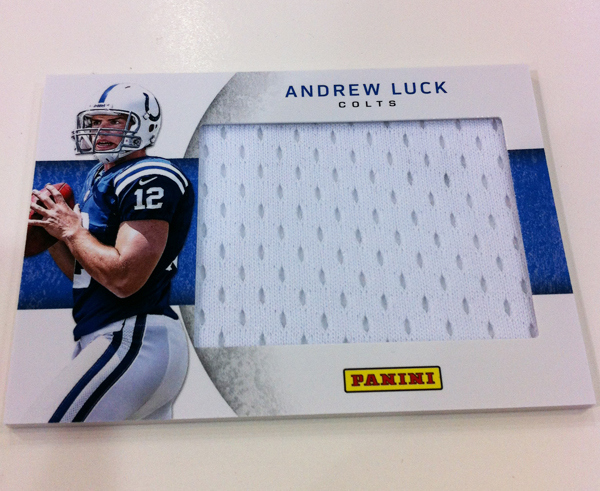 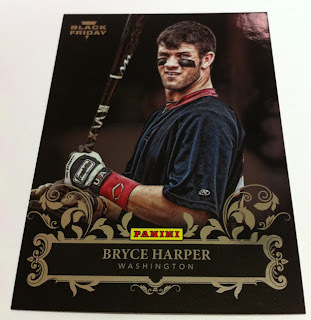 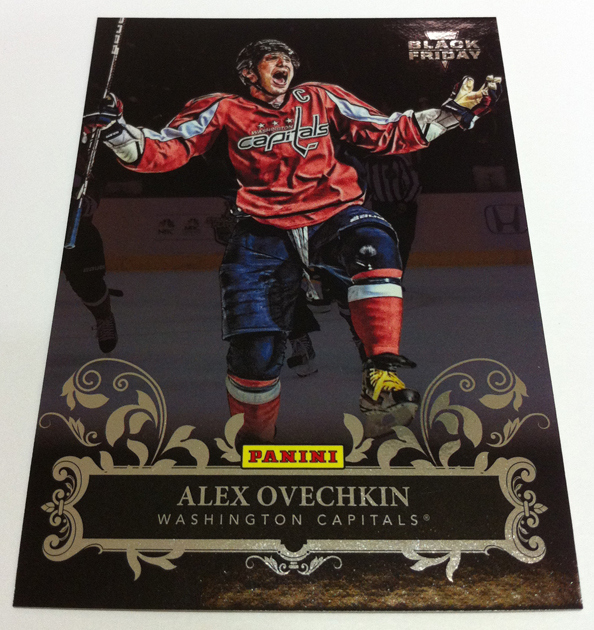 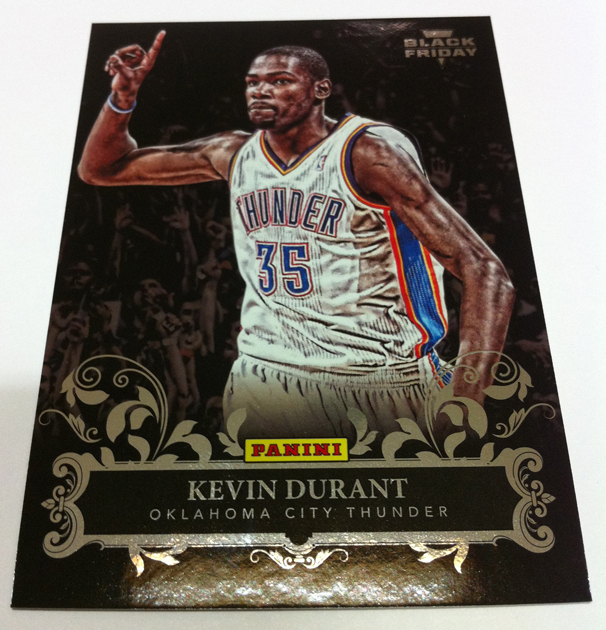 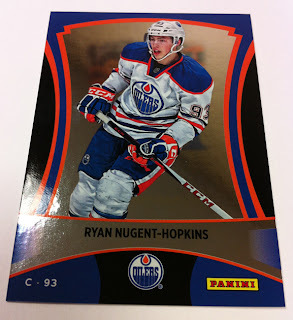 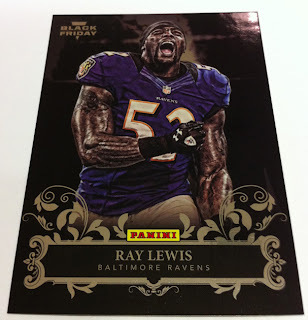 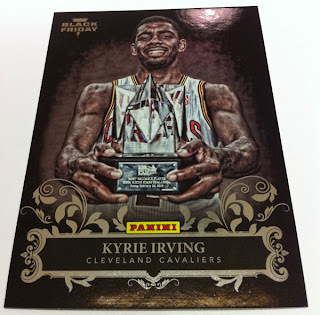 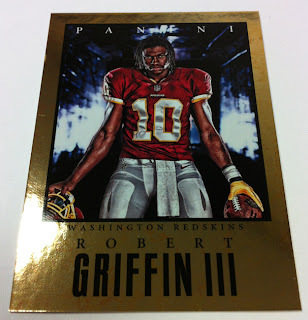 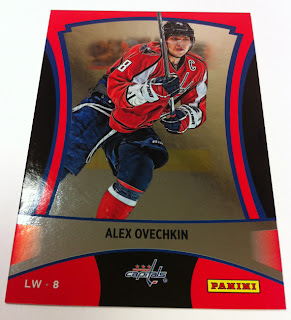 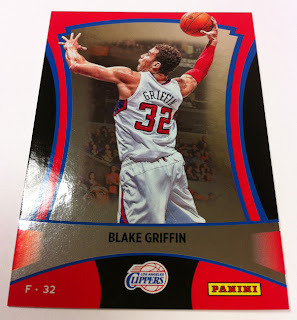 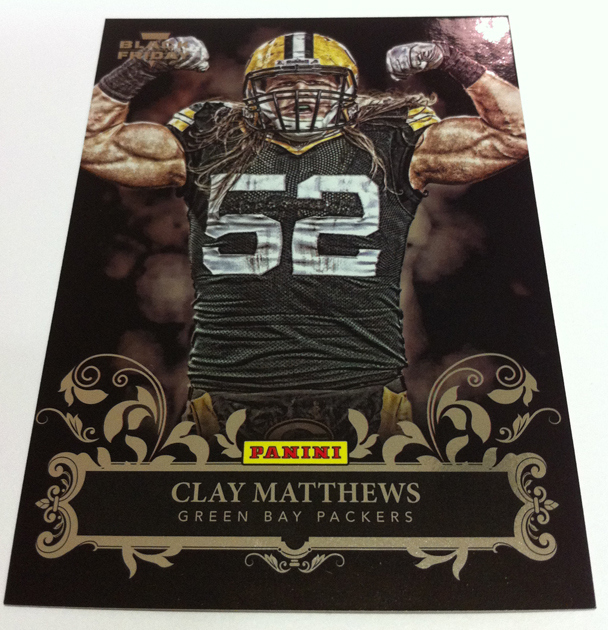 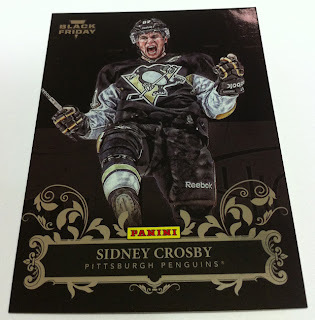 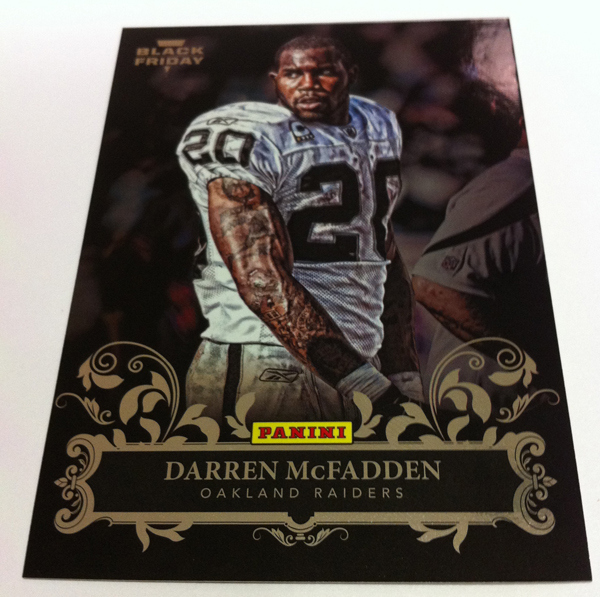 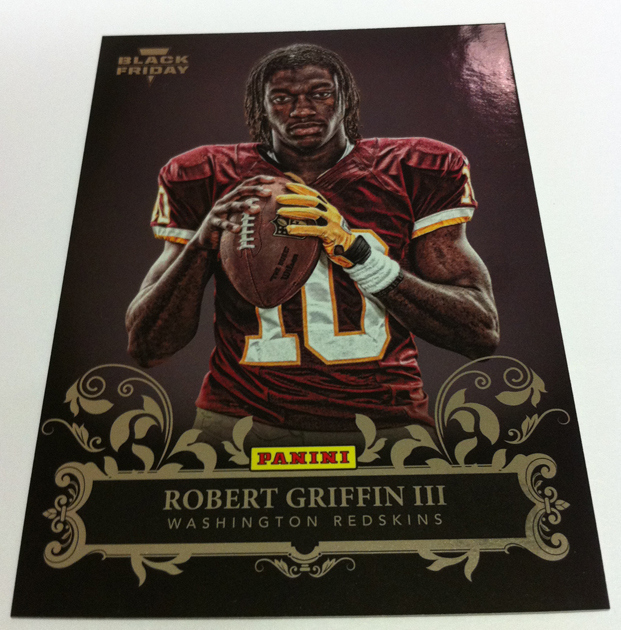 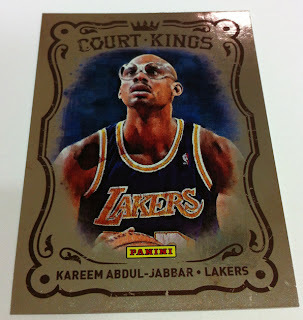 Next up is the 21-card Panini Collection which highlights some of the top athletes in their sport. 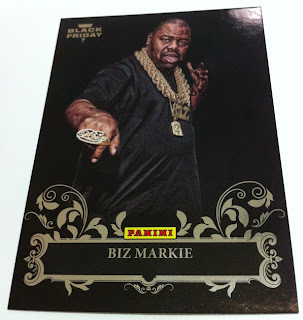 Again there are stars from the 4 major sports plus a late addition of Biz Markie, who was a guest DJ at Panini’s VIP Party during the 2012 National. 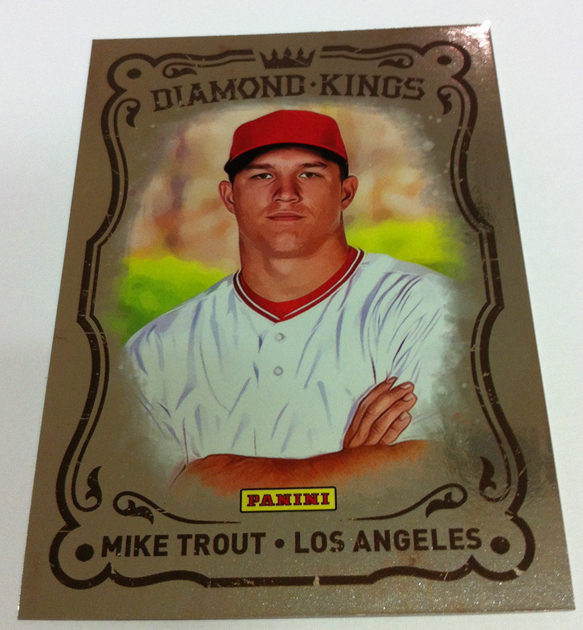 The Kings inserts are based on the original Diamond Kings sets; this 20-card checklist includes baseball (Diamond Kings), football (Gridiron Kings), basketball (Court Kings) and hockey (Ice Kings) players. There is a mixture of 10 veterans and 10 rookies from the respected sports. 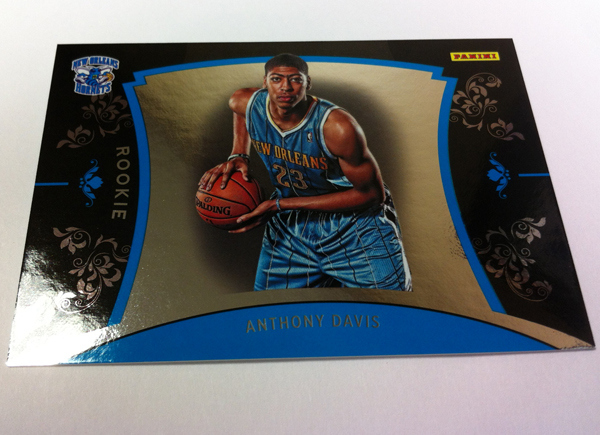 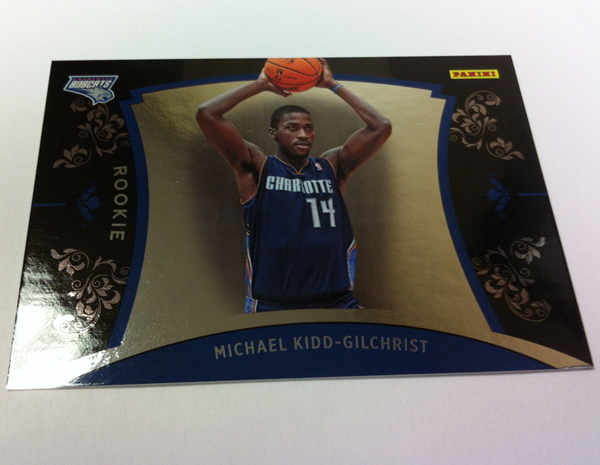 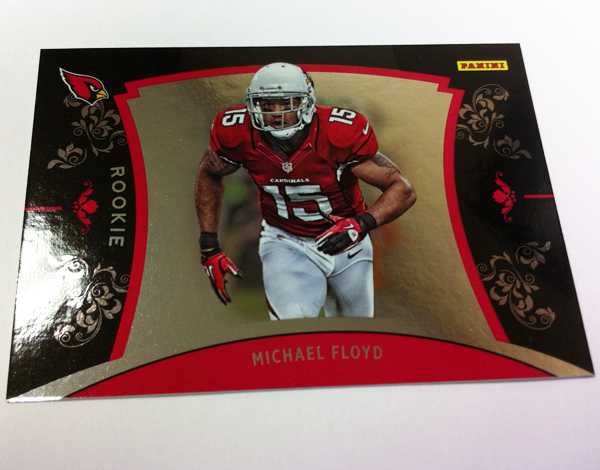 The design remains the same through all of the cards; there are no differences between rookies and veterans. 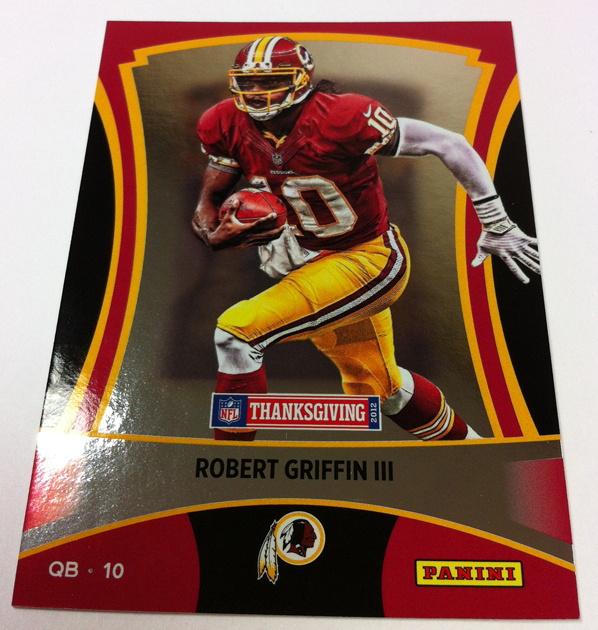 The 2 Elite cards are also based on the original Donruss Elite cards, I am not sure of the theme but considering the players, RG3 and Kyrie Irving, it may be based on trophy winners- Heisman and ROY. The Thanksgiving Classic set is a 6-card set that highlights players who are scheduled to play on Thanksgiving Day. There are three games this year with the standard Detroit Lions (playing Houston Texans) and Dallas Cowboys (playing Washington Redskins) games but now there is the game on the NFL Network. 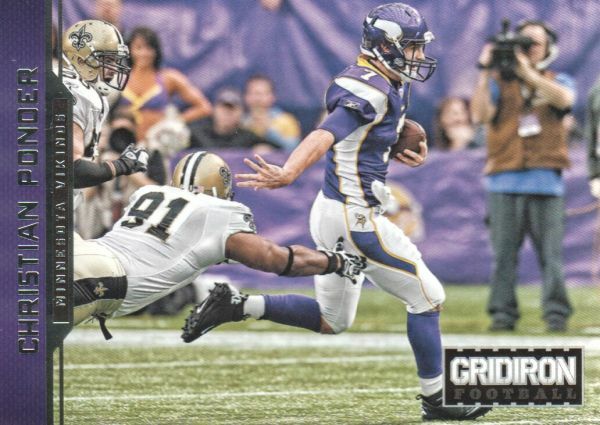 Since 2006 the NFL Network has shown a third game that includes two floating teams that change each year. 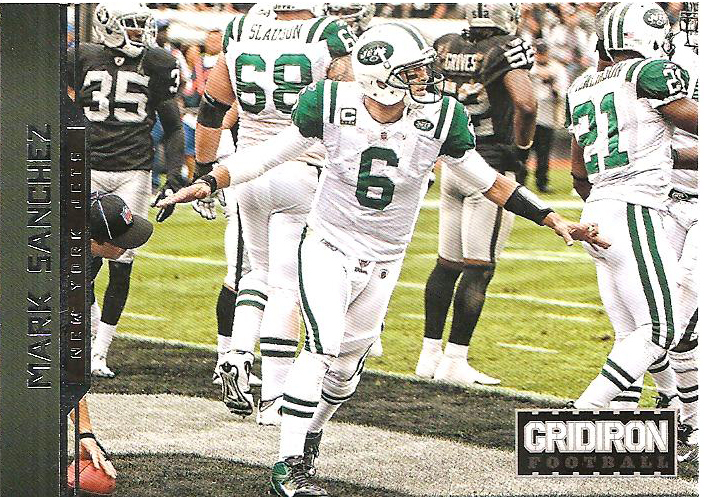 This year’s game is a match up of the New England Patriots versus NY Jets. 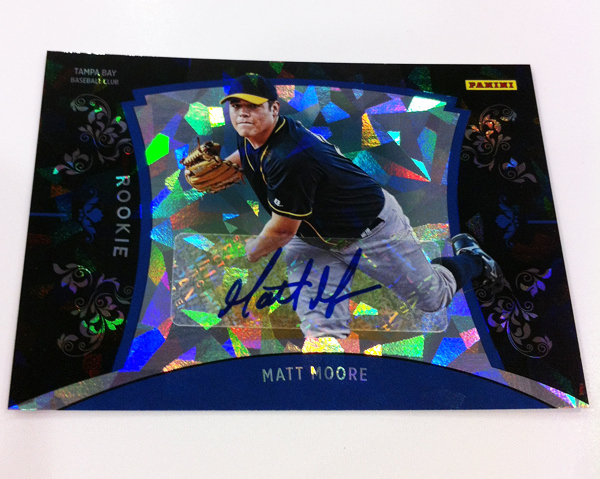 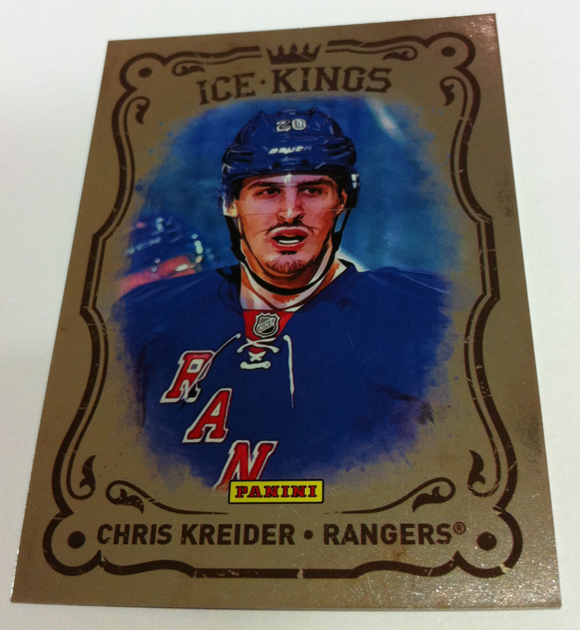 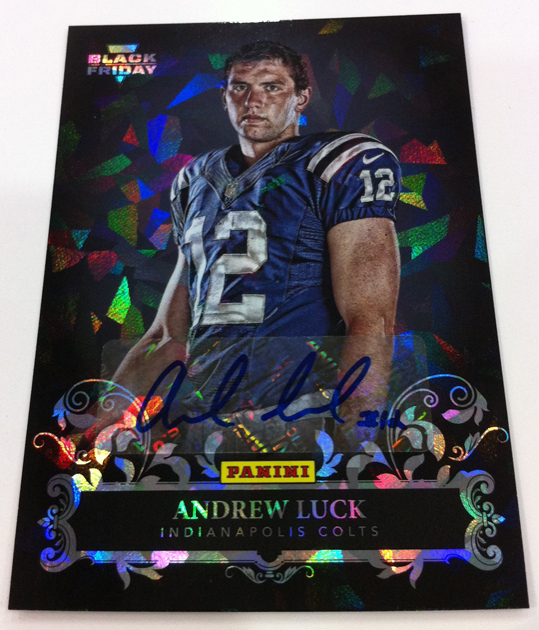 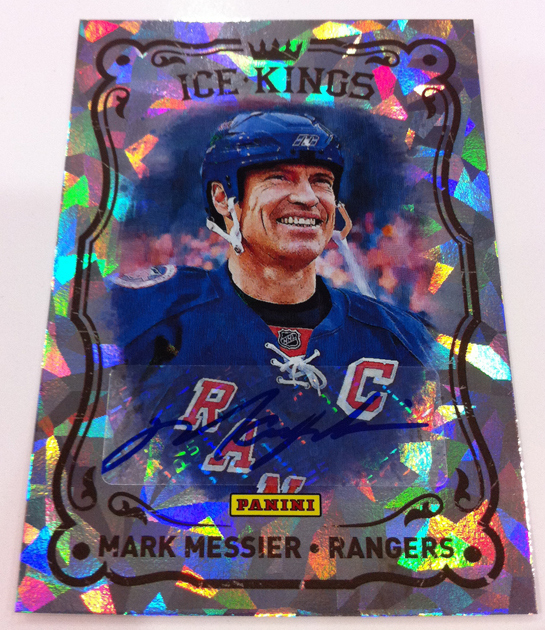 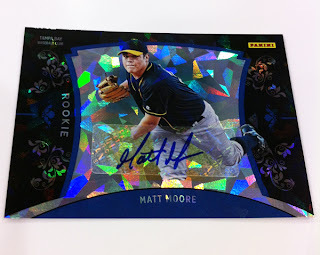 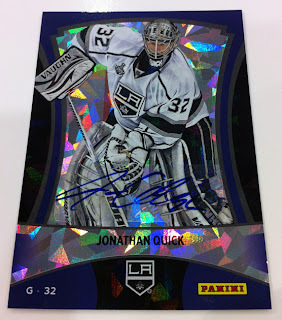 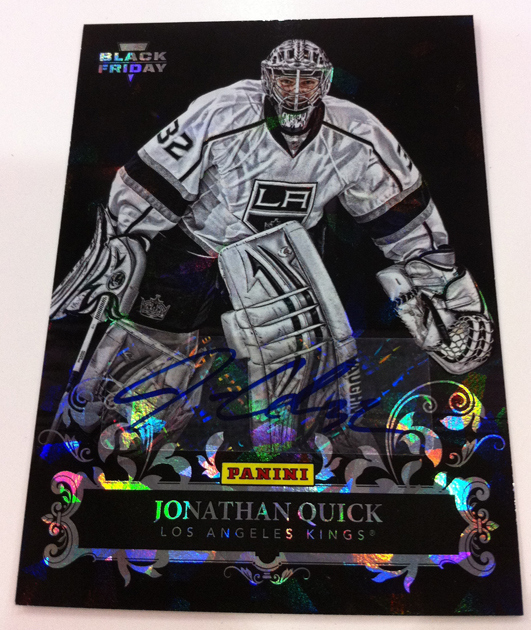 The Cracked Ice autographs are a limited edition parallel of all non-relic base cards and inserts. 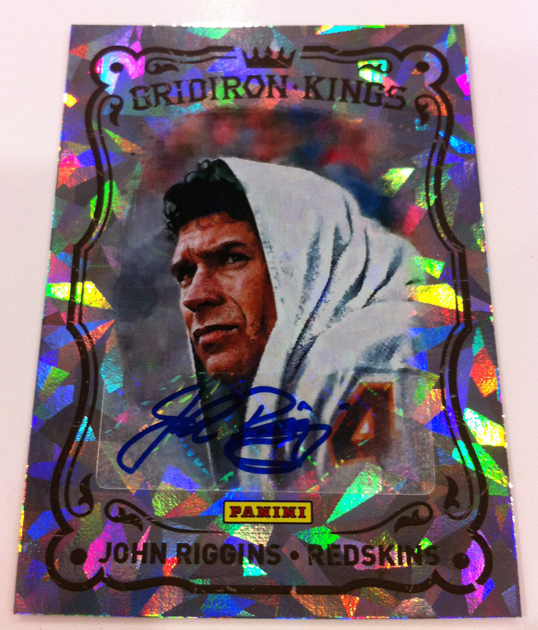 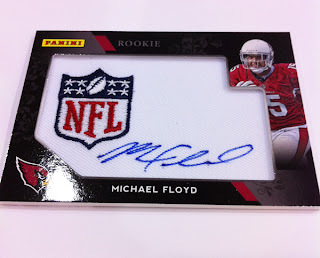 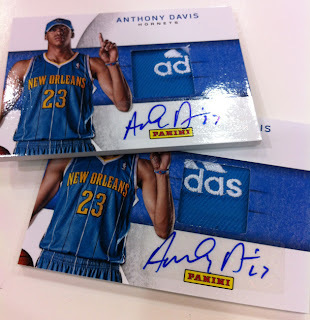 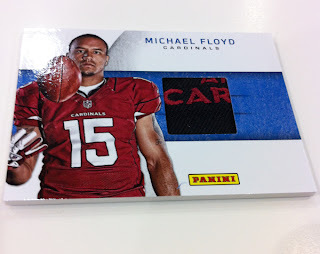 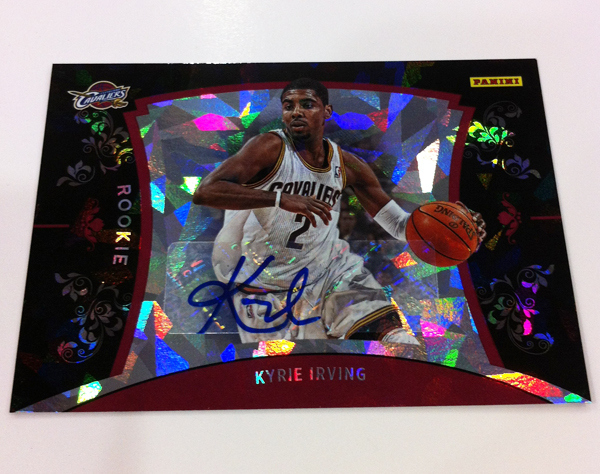 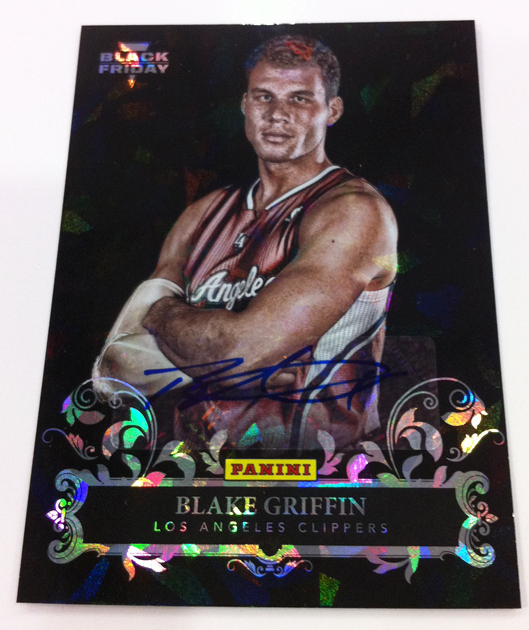 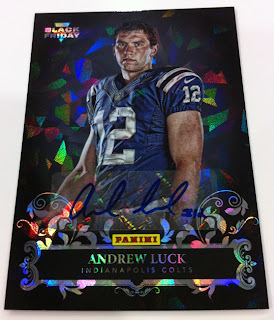 The cards use Panini’s Cracked Ice technology and include an autograph. 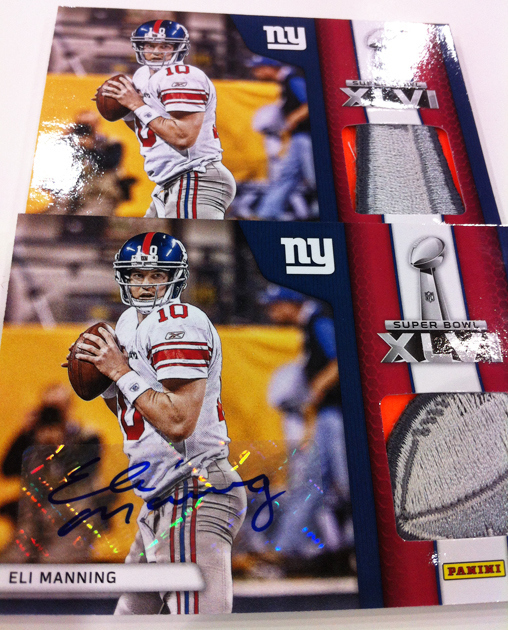 I am not certain of numbers but you can figure these are quite limited. 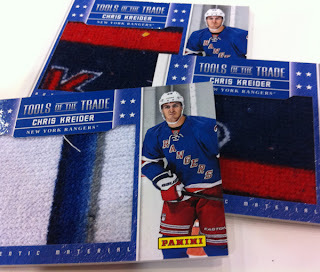 One of the oldest and most love relic cards, Tools of the Trade, continue with a twist. This time we are seeing large swatches of event-used towels. The cards contain a large piece of a towel that was used (let’s just say “touched” to be safe) by the athlete at an event. 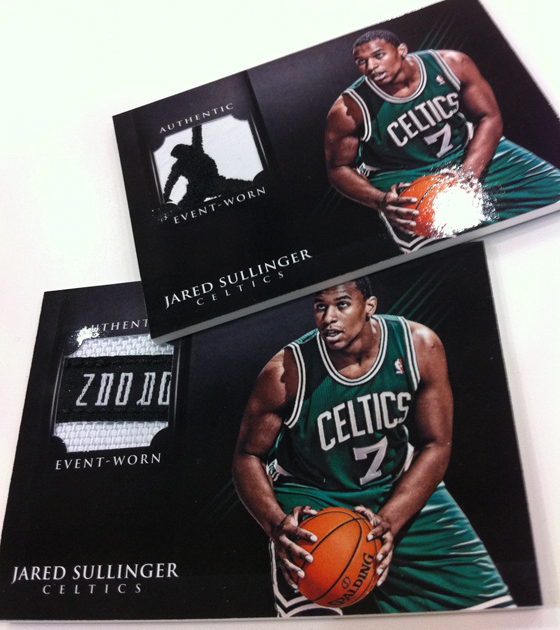 The events include the 2012 NFL Rookie Premier, 2012 NBA Rookie Shoot and the 2012 NHL Rookie Showcase. 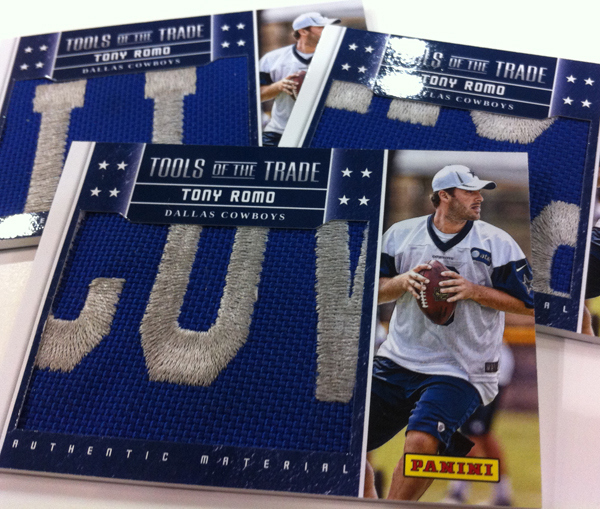 The Tony Romo and Dez Bryant cards will include pieces cut from an equipment bag. 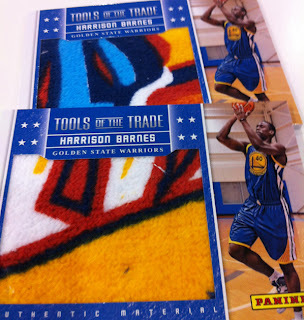 I do have to say, this is an original idea and while some may not care for the use of towels I think it is pretty cool and would be quite excited to get my hands on some of these cards. 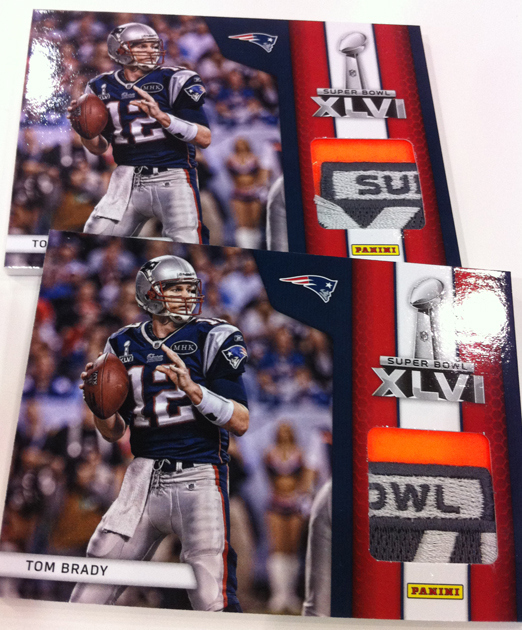 The Super Bowl relics made their first appearance last year and continue this year using both end zone pylons and footballs. There are both autographed and non-autographed versions. 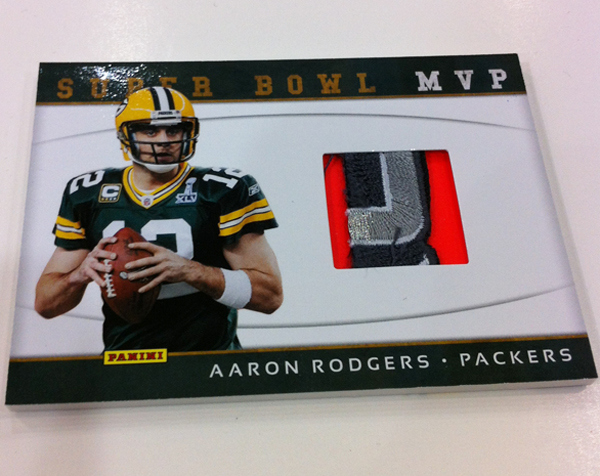 New this year is the Super Bowl MVP cards, which include a pylon relic on a card for the last two Super Bowl MVPs- Rodgers and Manning. Hat Relic cards. When players are drafted in the NFL and NBA they are usually handed a team hat to put on or take promotional pictures with while they are standing on the stage and draft hat relics have been done before but they are still pretty limited (along with shoe relics) when you look at hat relic cards in comparison to jersey relics. 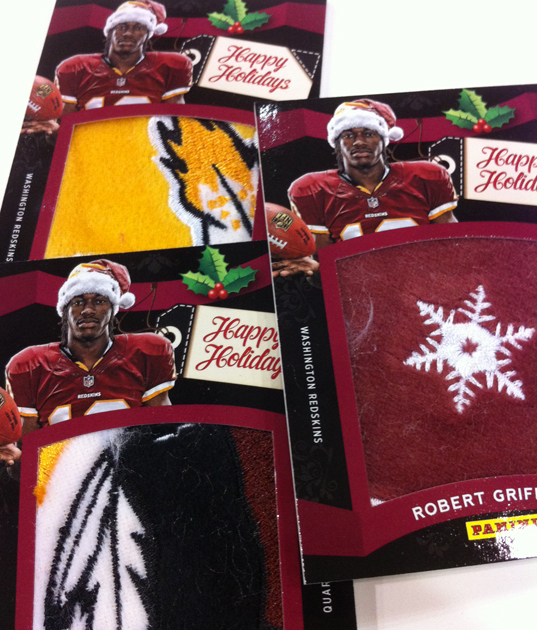 Personally I would rather have a hat swatch over a plain white jersey swatch any day. There are both autographed and non-autographed versions of the draft hat cards. 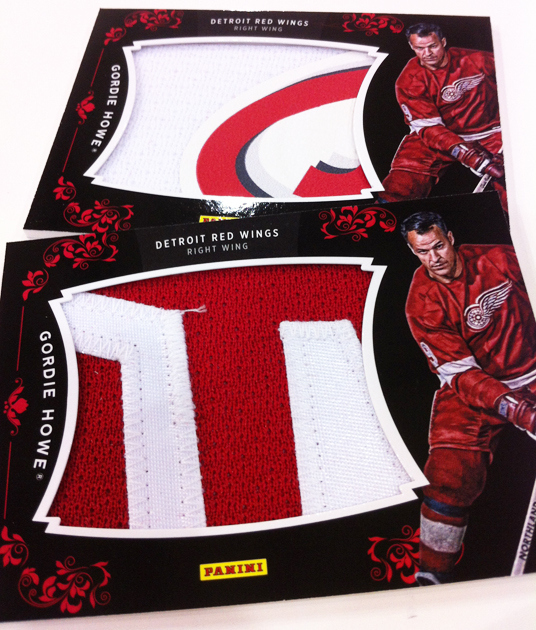 Gordie Howe Jumbo Patch. 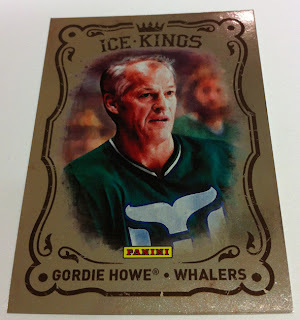 Panini designed a card that includes jumbo patches from the specially made jersey that Gordie Howe wore at the 2012 NHL All-Star Game when he made an appearance for Panini to announce his new agreement with the company. 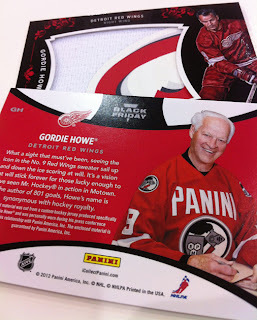 The back of the card shows Gordie Howe wearing the jersey while signing autographs. 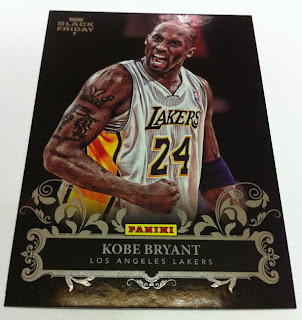 Continuing with Panini’s year-long Kobe Bryant Anthology set they are including a card which has a jumbo swatch from his game-worn warm-ups. 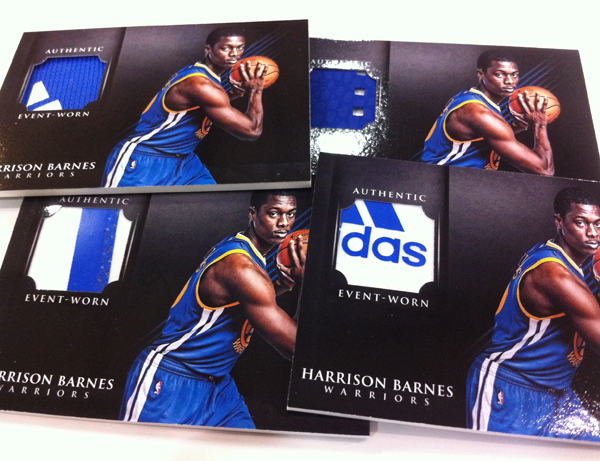 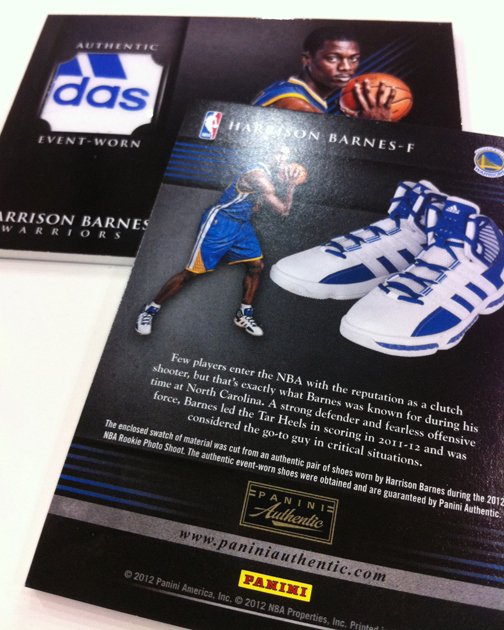 There is a 2-card Shoe Relic set which contains pieces of shoes that Harrison Barnes and Jared Sullinger wore during the 2012 NBA Rookie Photo Shoot. 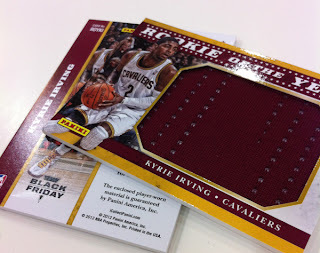 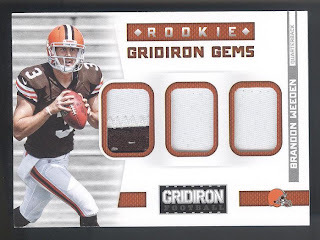 There is a 6-card set containing Over Sized Jersey Relics worn by Kyrie Irving, Andrew Luck, RG3, Andy Dalton, Cam Newton and Jake Locker during the NFL Rookie Premier or Rookie Transition Program. Happy Holidays. 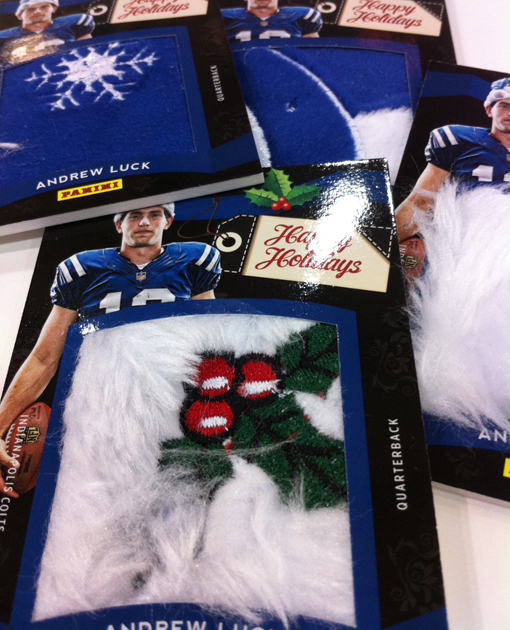 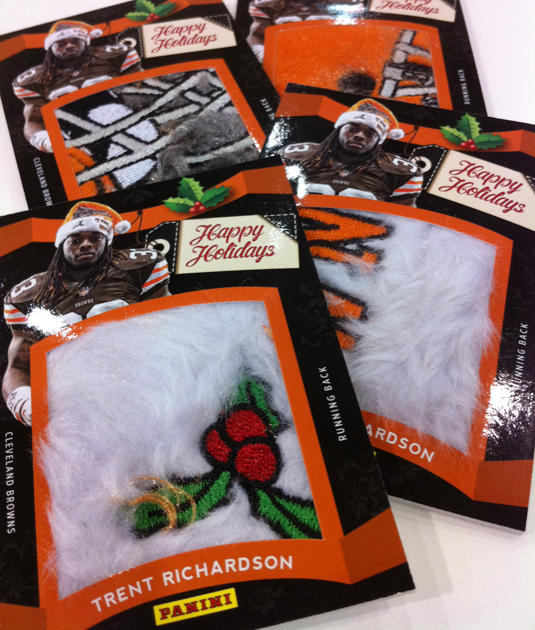 During the NFL Rookie Premier Andrew Luck, RG3 and Trent Richardson were each asked to wear a Santa Claus hat that was the team's color and included their team's logo. This 3-card set includes jumbo relics from the player's hat. 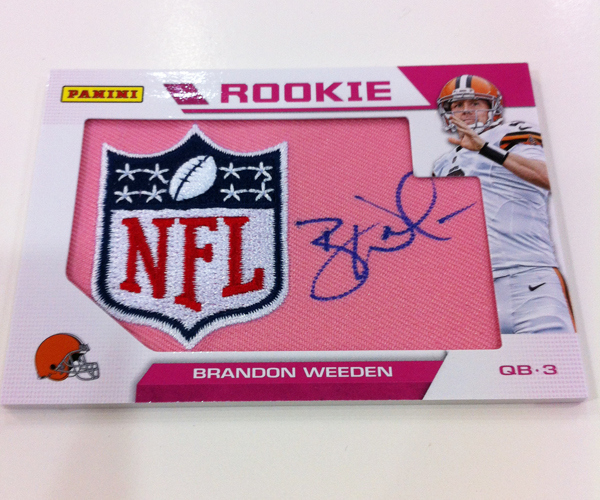 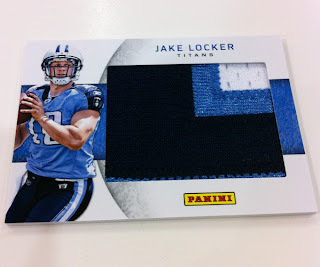 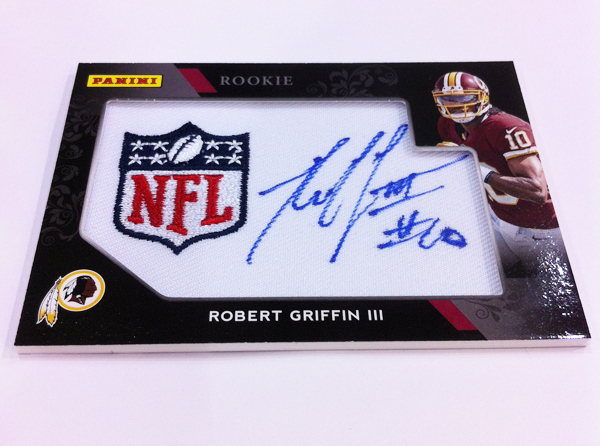 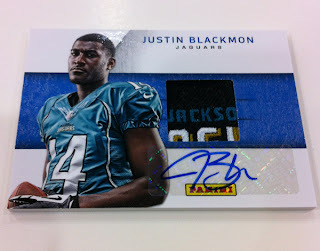 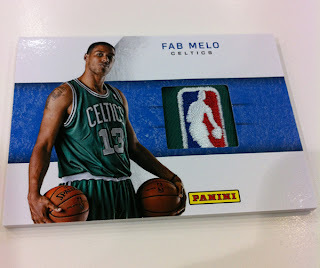 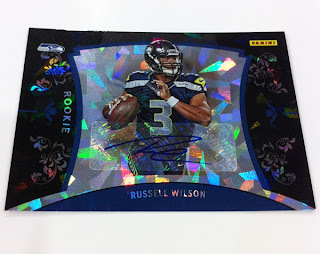 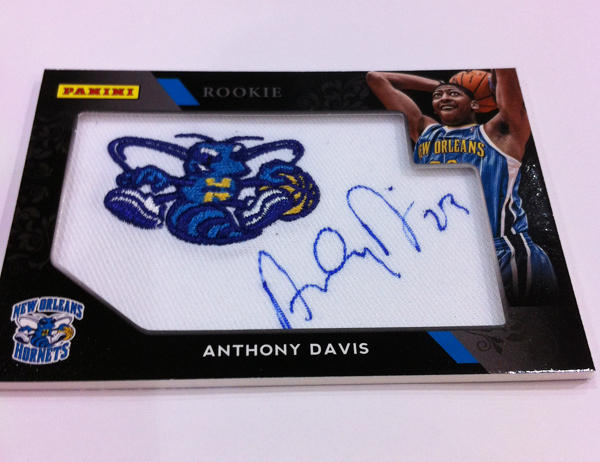 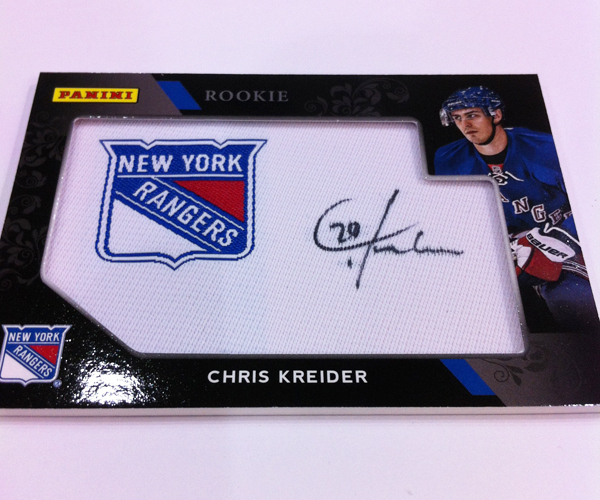 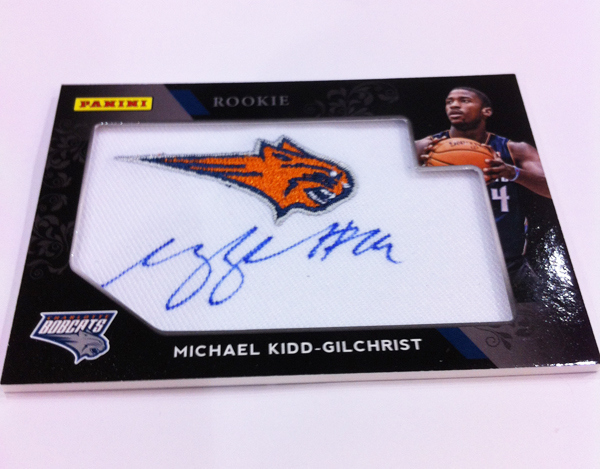 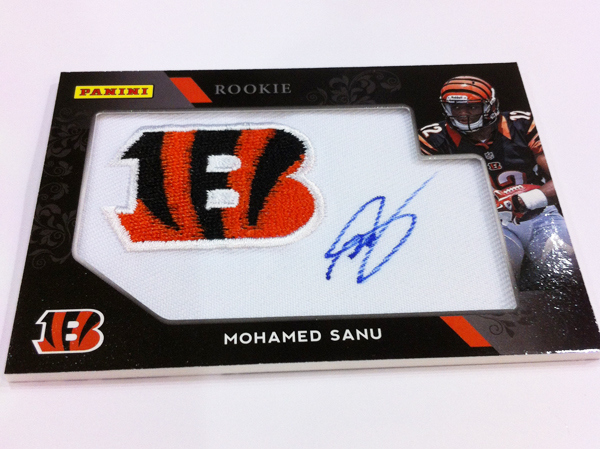 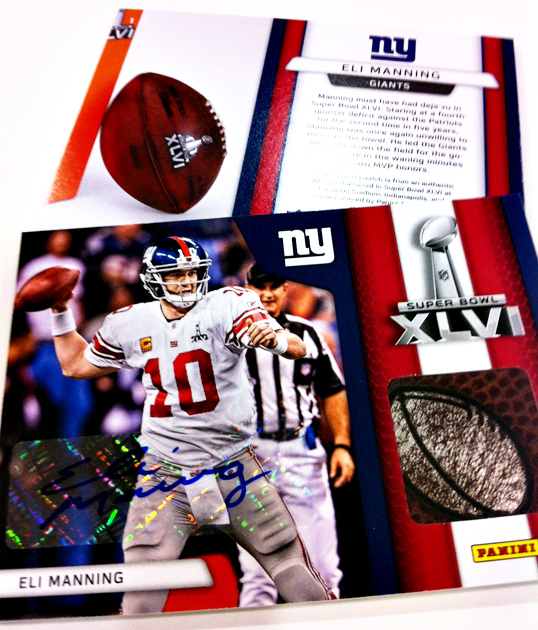 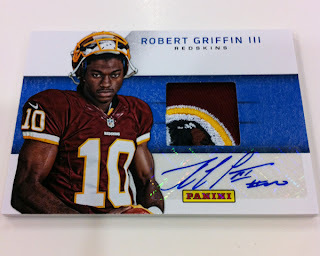 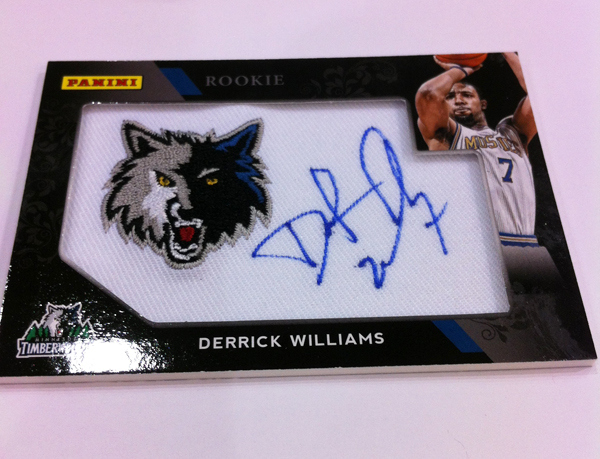 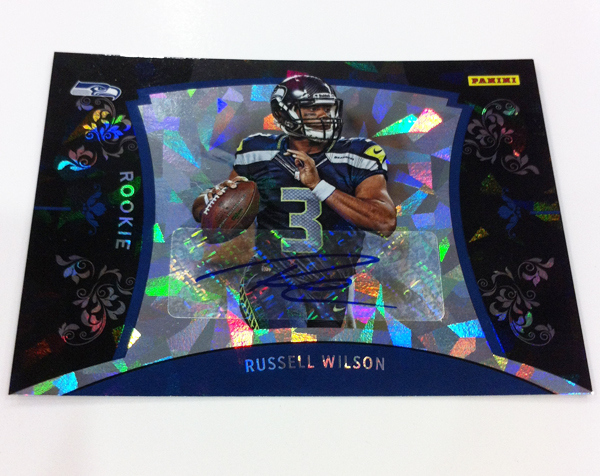 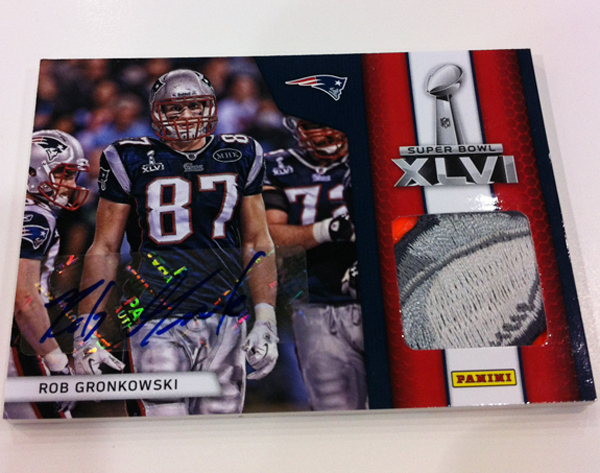 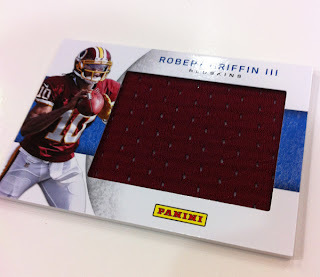 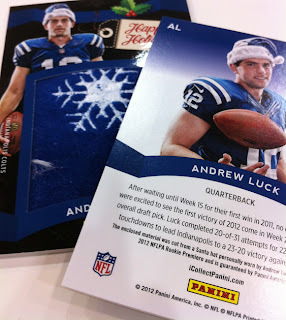 Panini closes out with autographed Manufactured Patches. This is one of those “You like them or you don’t” products. 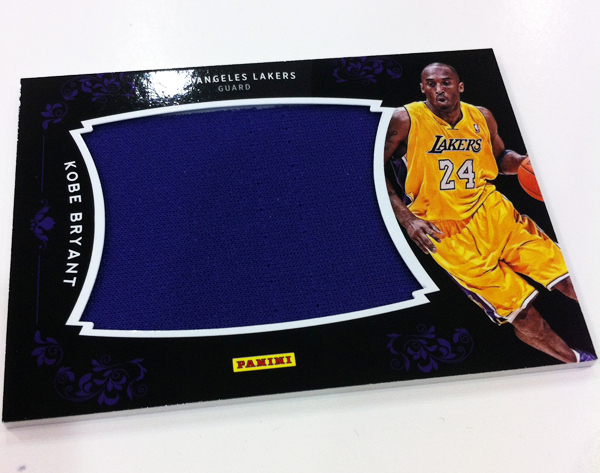 One of the biggest problems, besides being manufactured, is that the ink can bleed in to the fabric. 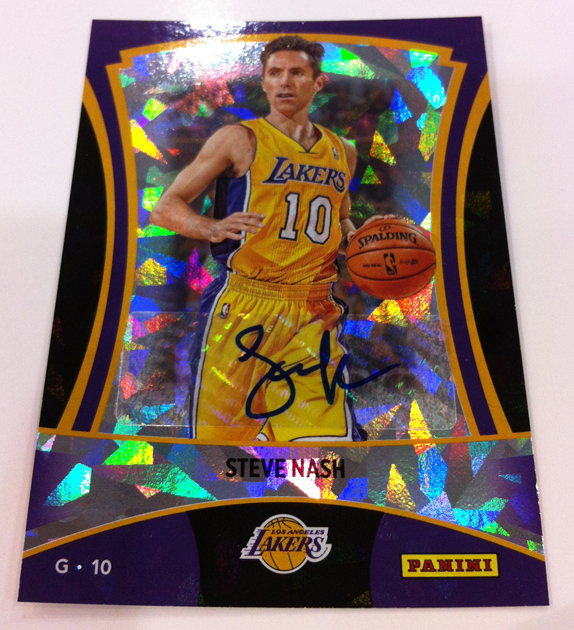 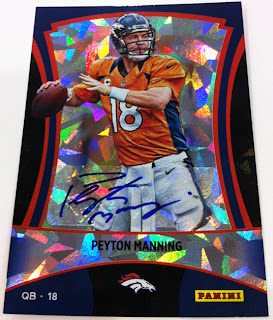 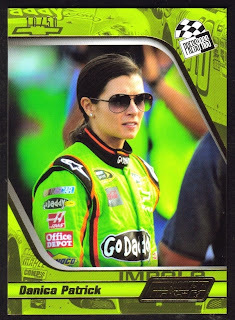 I like these cards; it is a cheaper way for collectors to get a hold of their favorite star’s autographs. 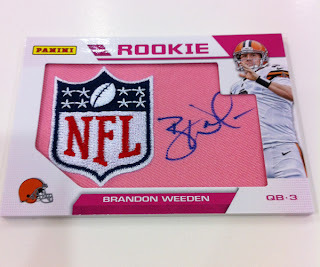 There are a couple of different versions, there is a pink NFL Crucial Catch version, a league logo version and there is a team logo version. 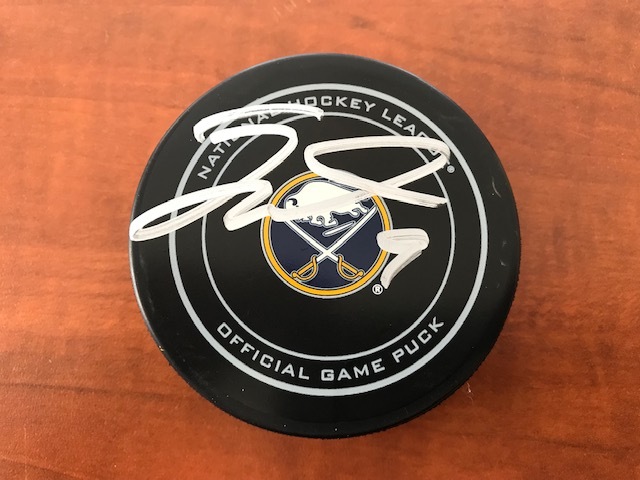 As far as I can tell there are only basketball, football and hockey players included, I did not see any baseball players. But Tracy Hackler may not have included pictures of all the manufactured patches so I do not know the final checklist.